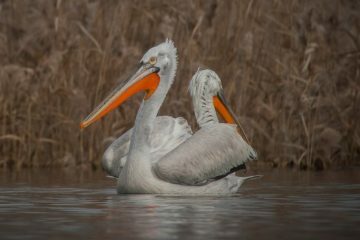 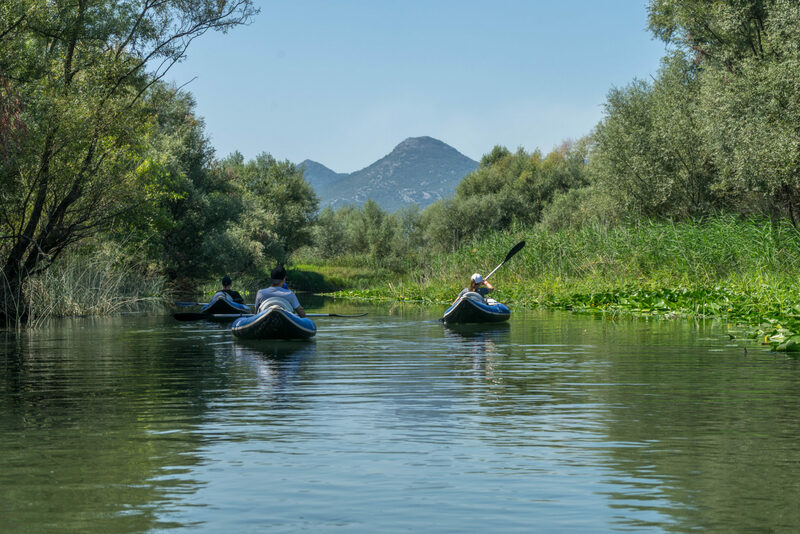 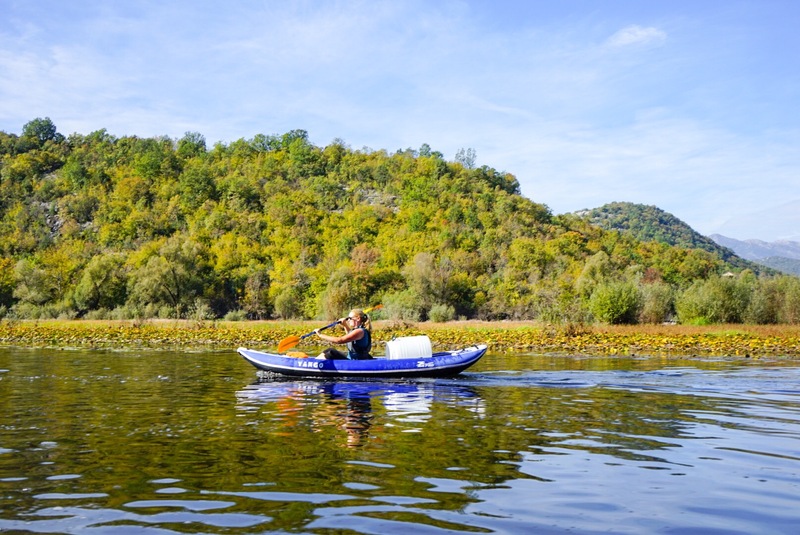 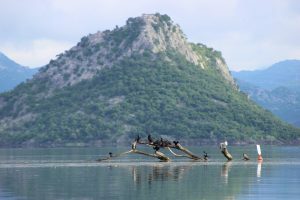 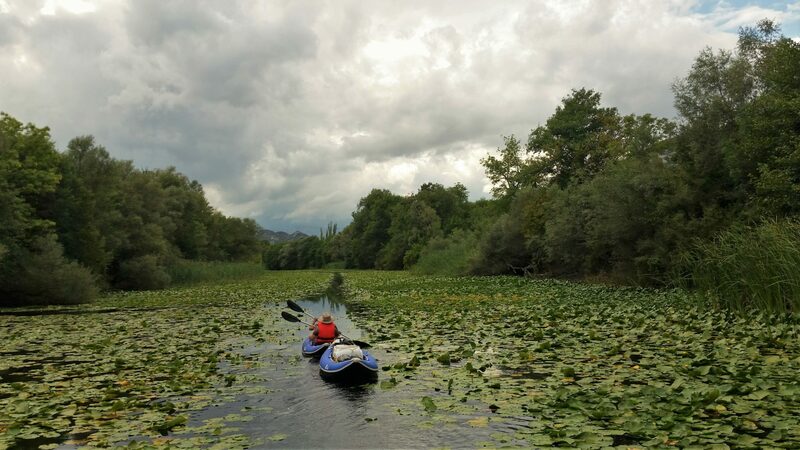 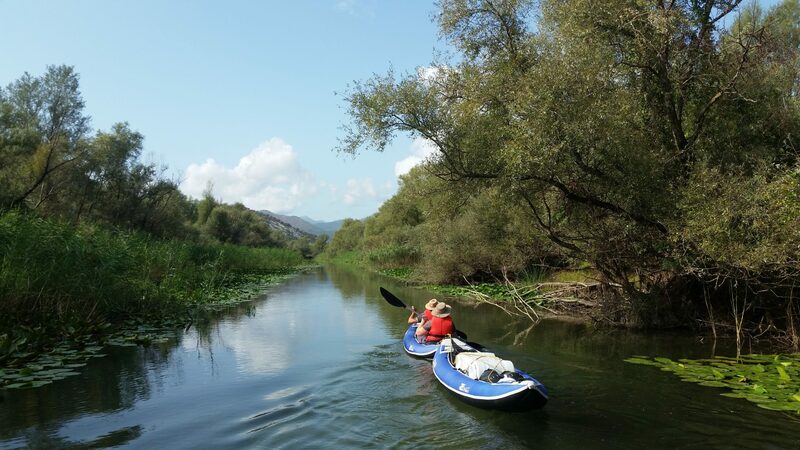 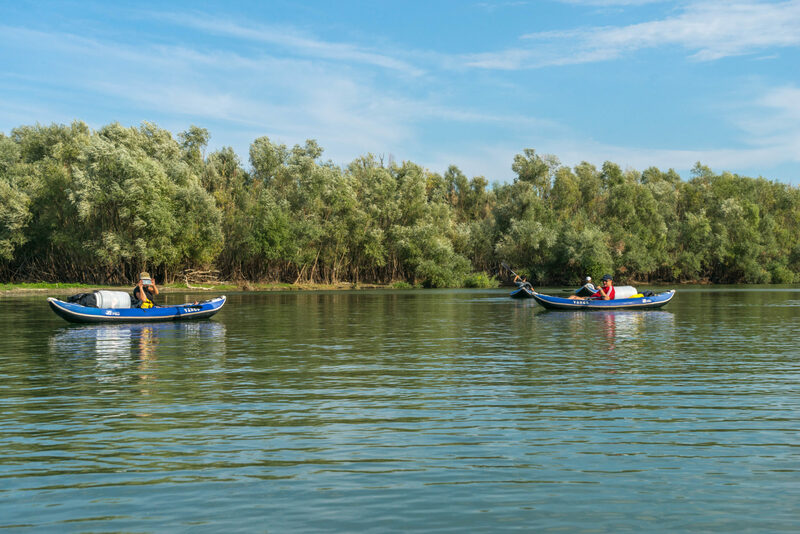 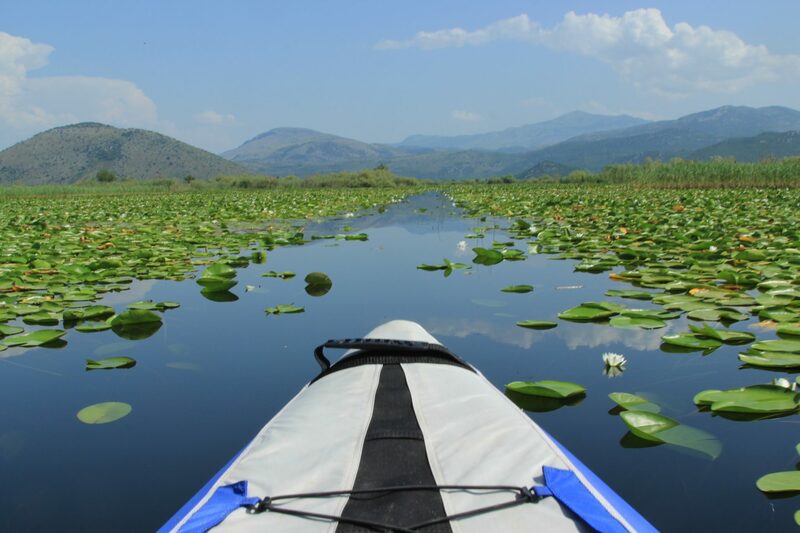 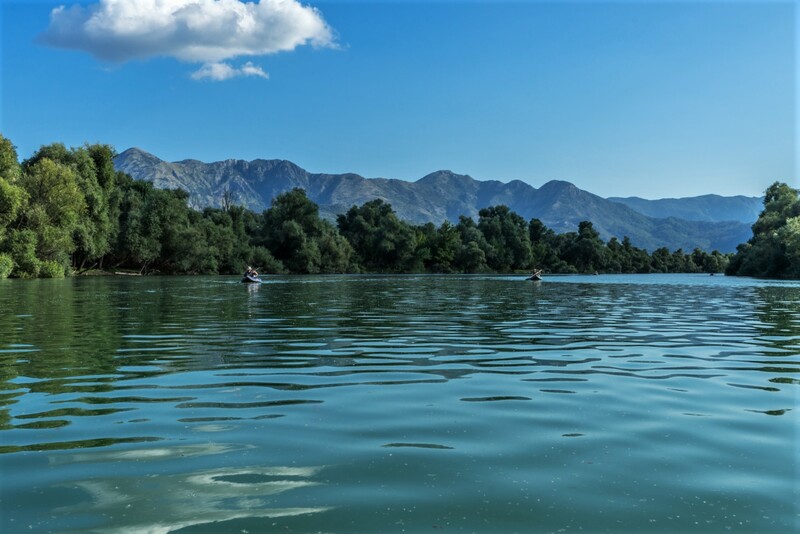 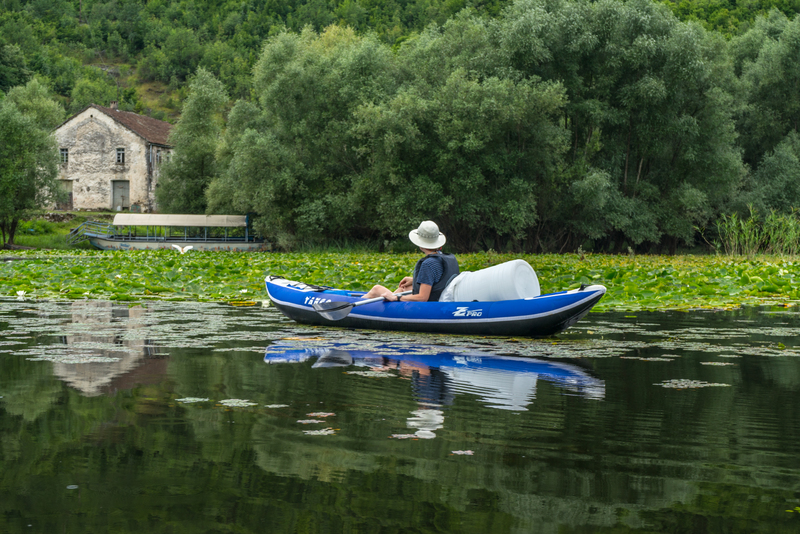 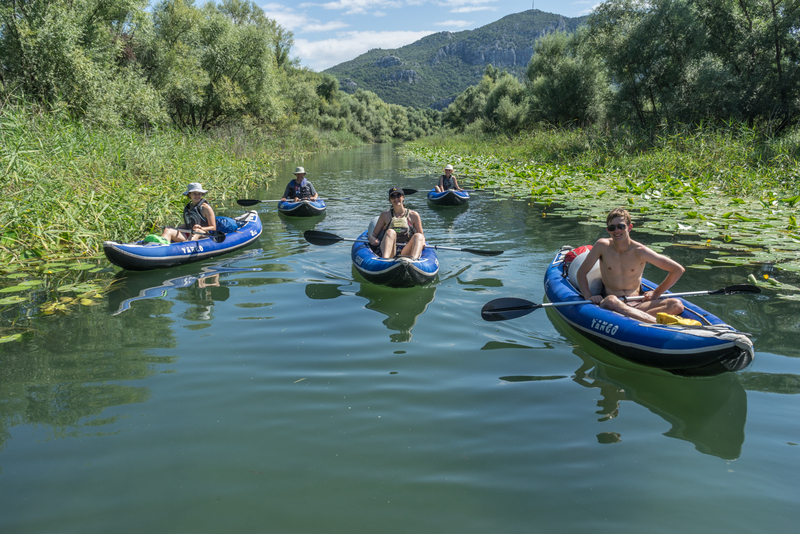 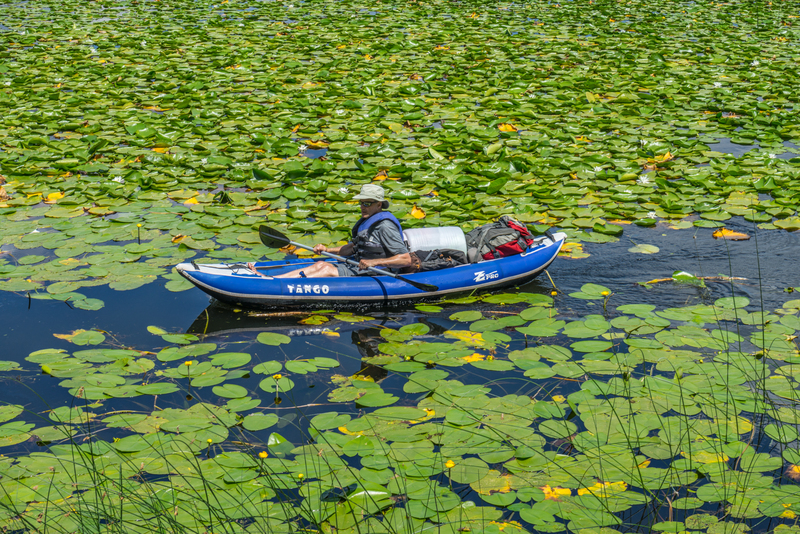 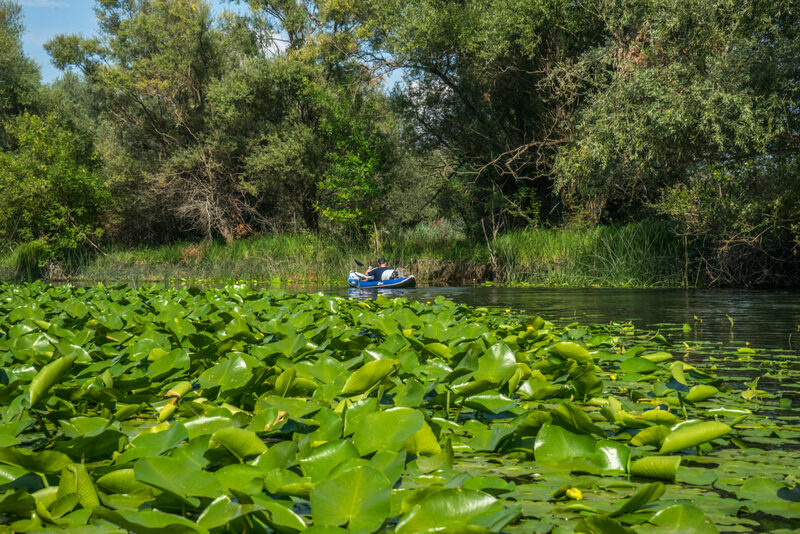 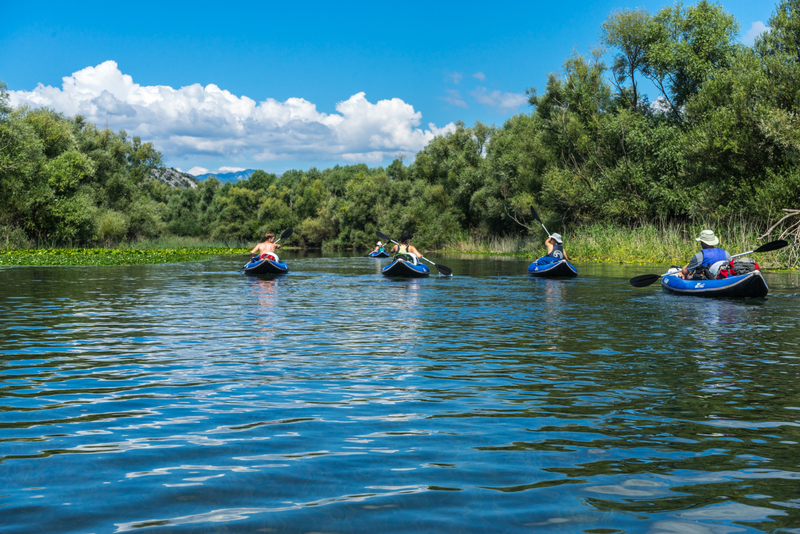 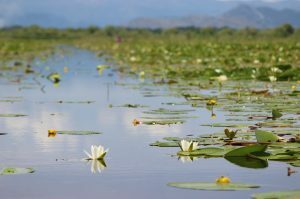 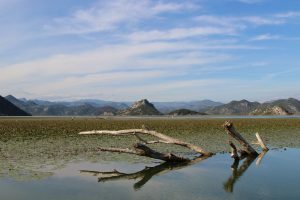 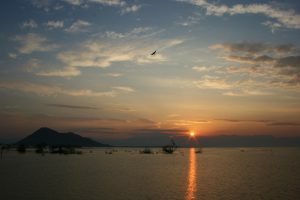 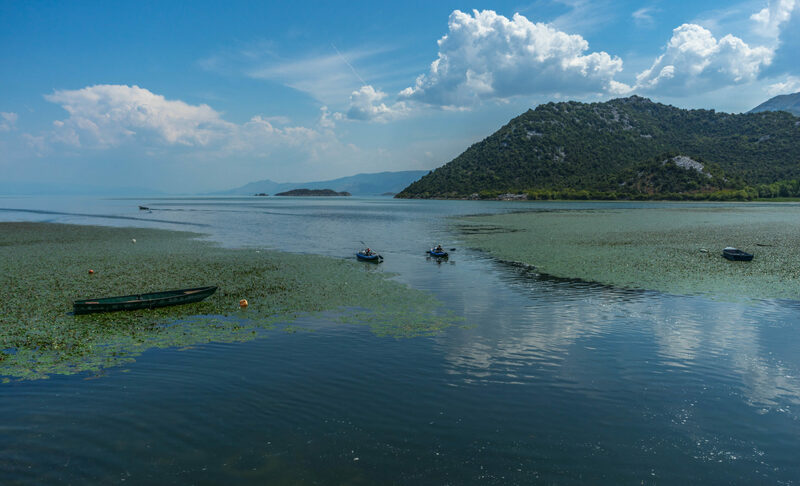 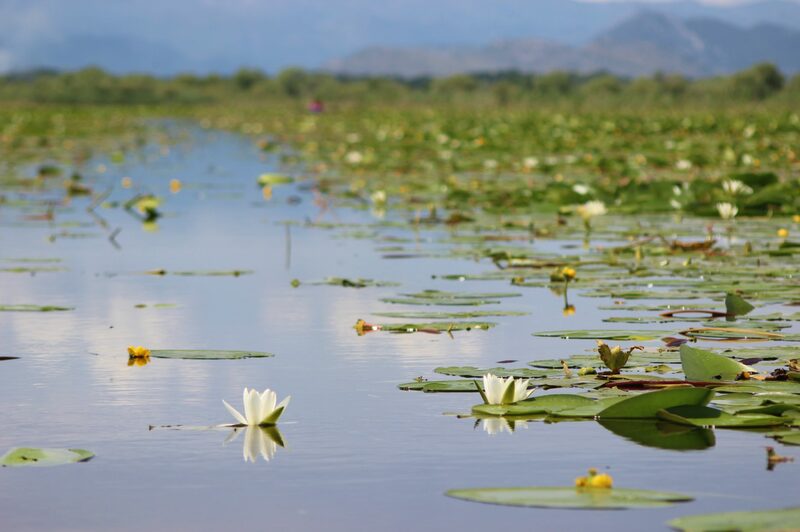 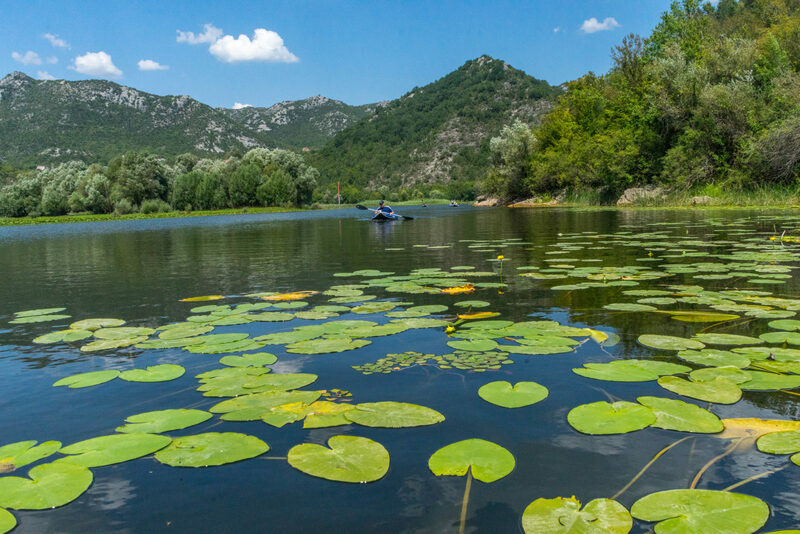 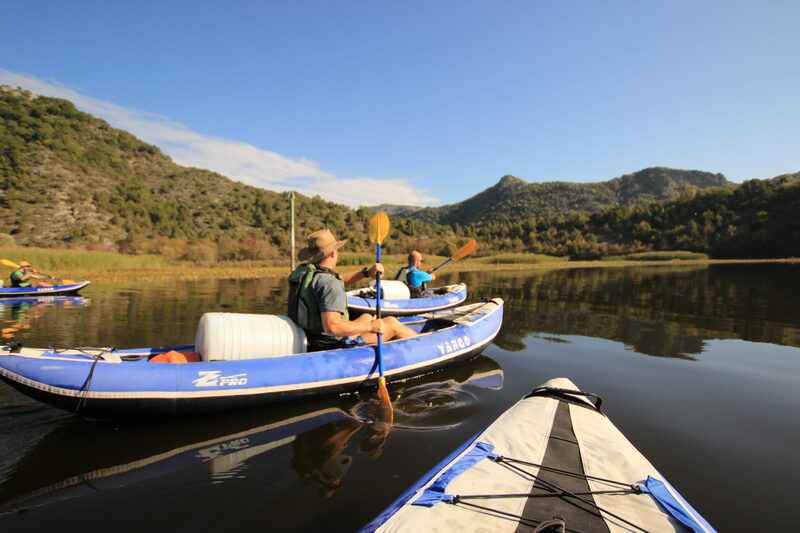 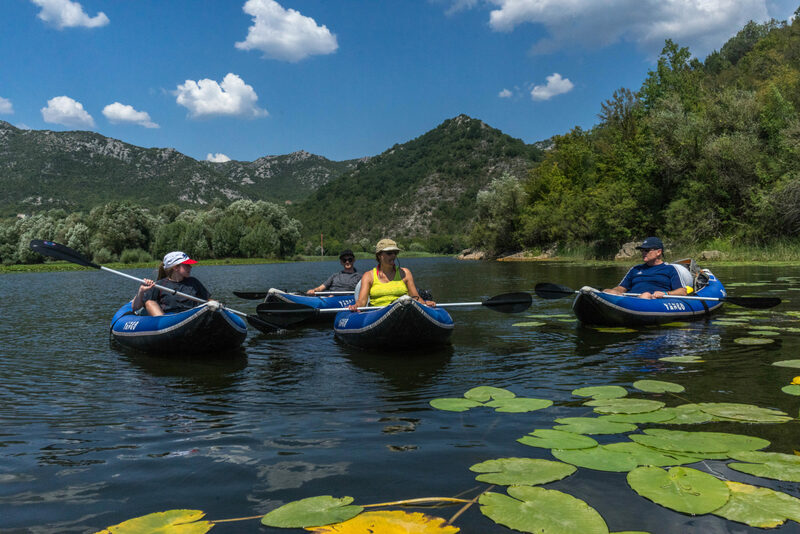 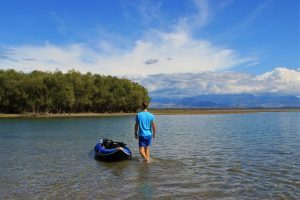 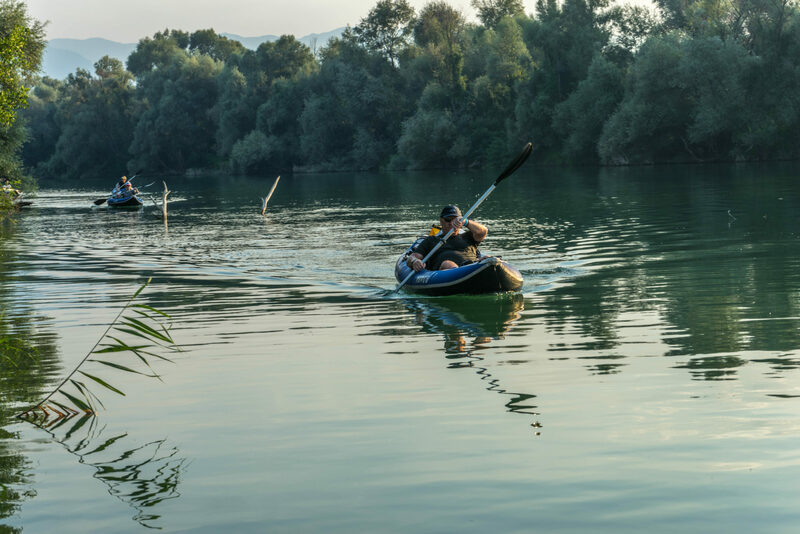 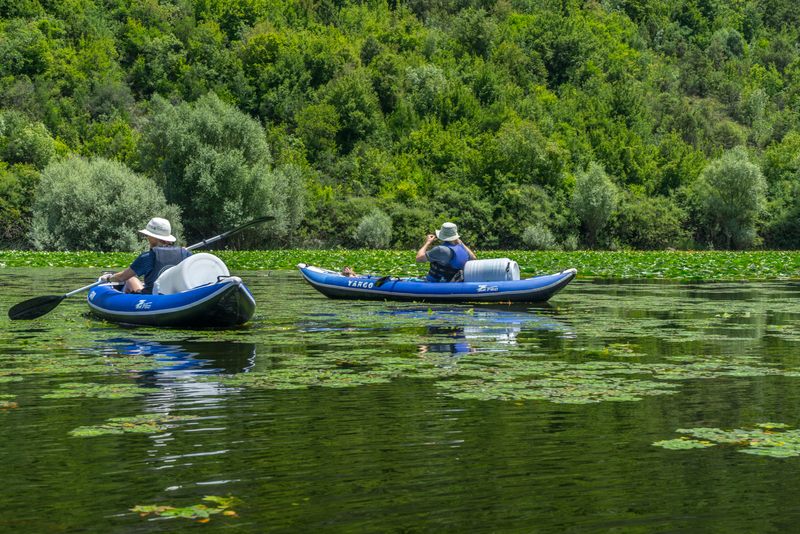 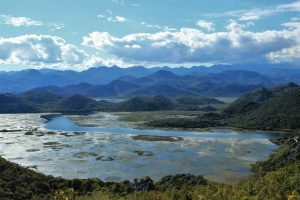 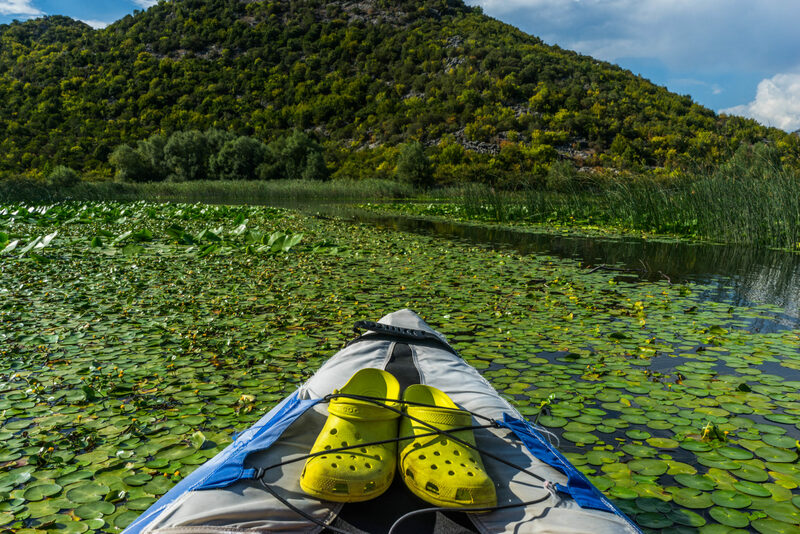 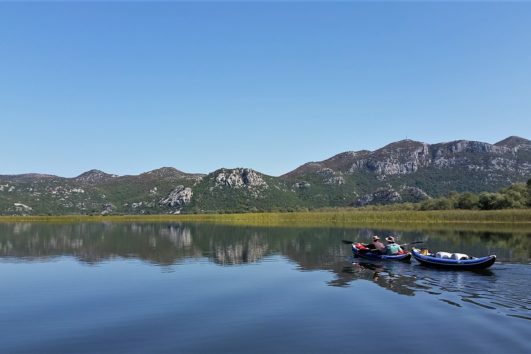 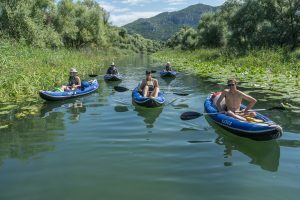 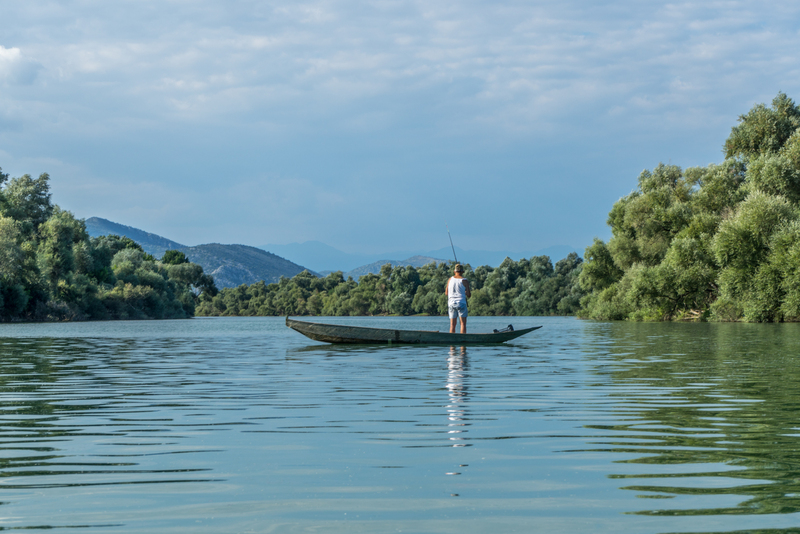 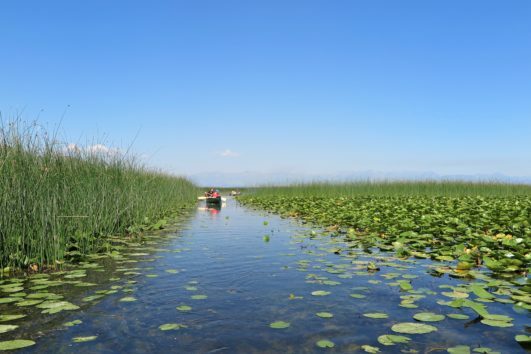 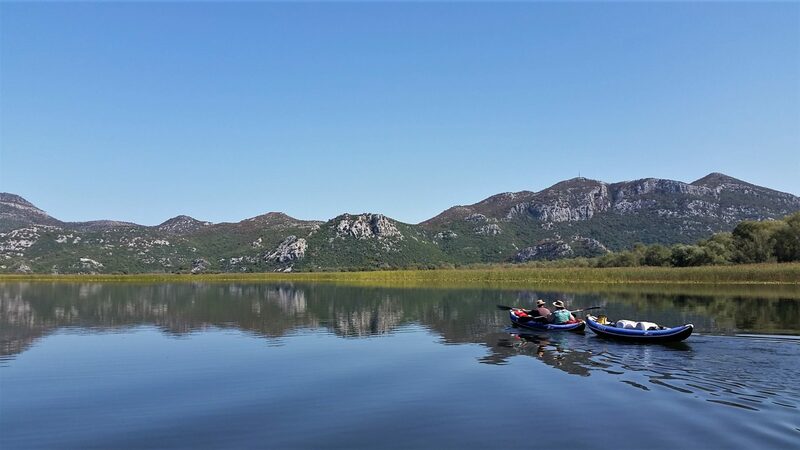 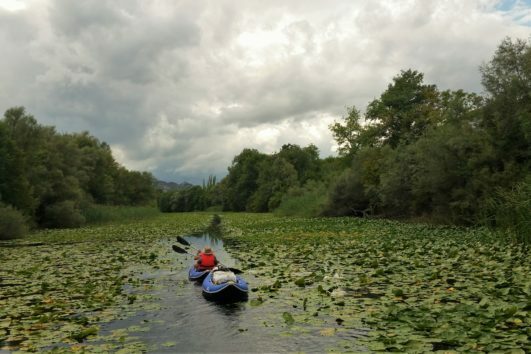 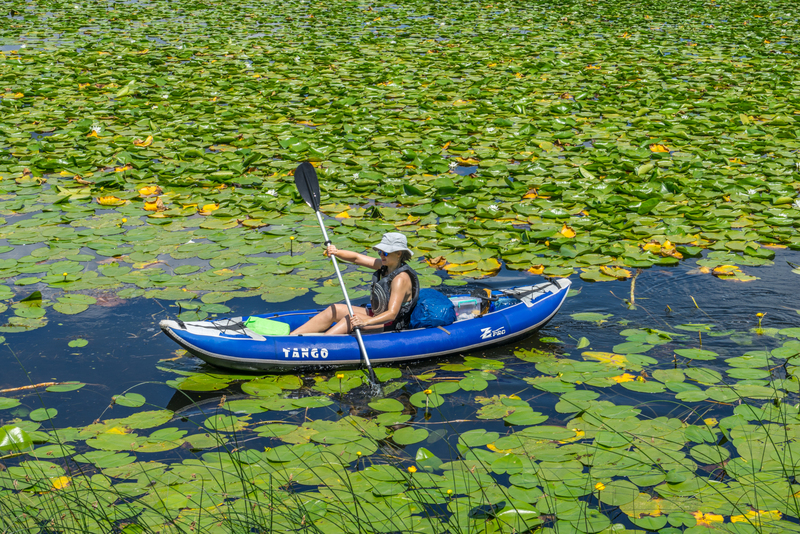 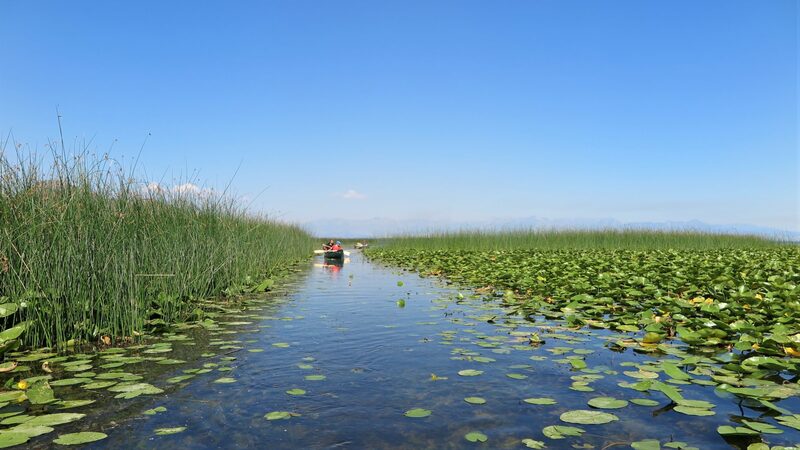 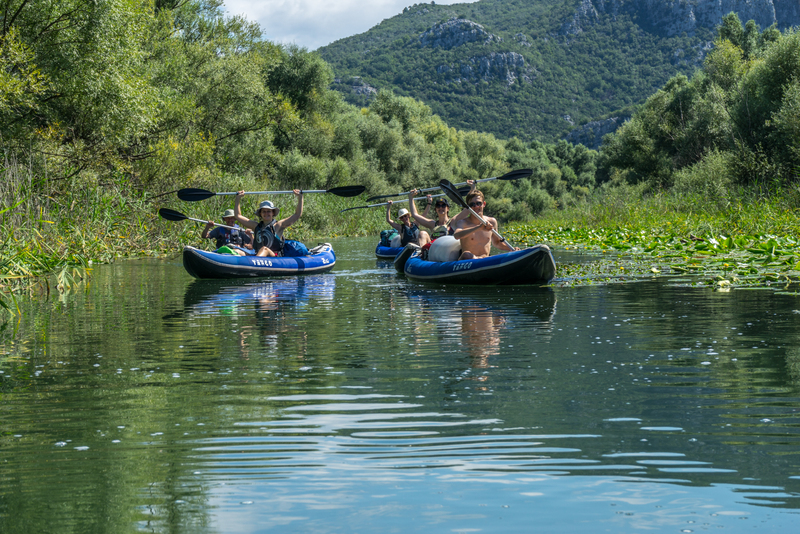 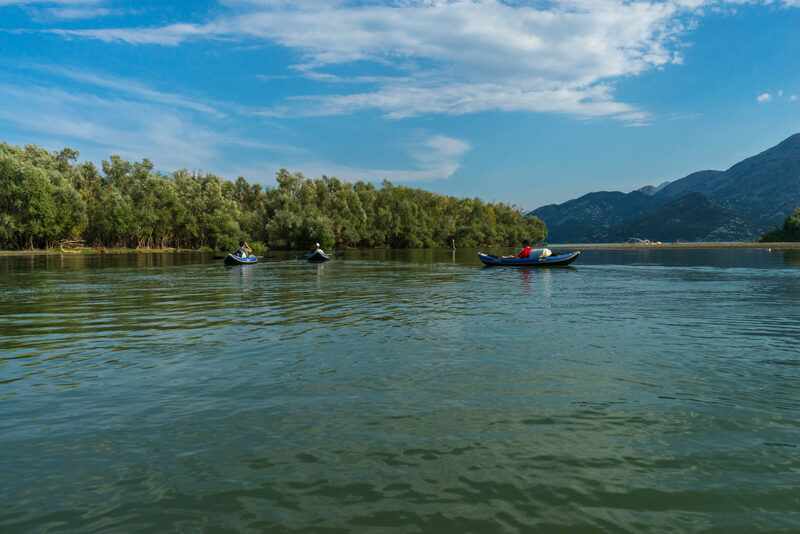 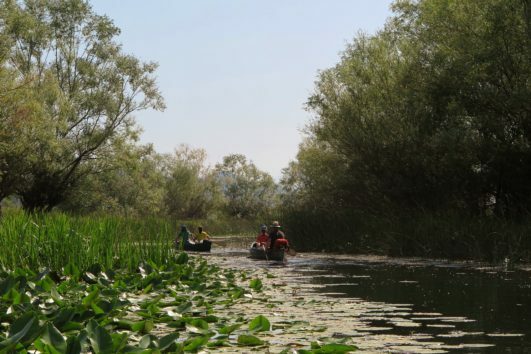 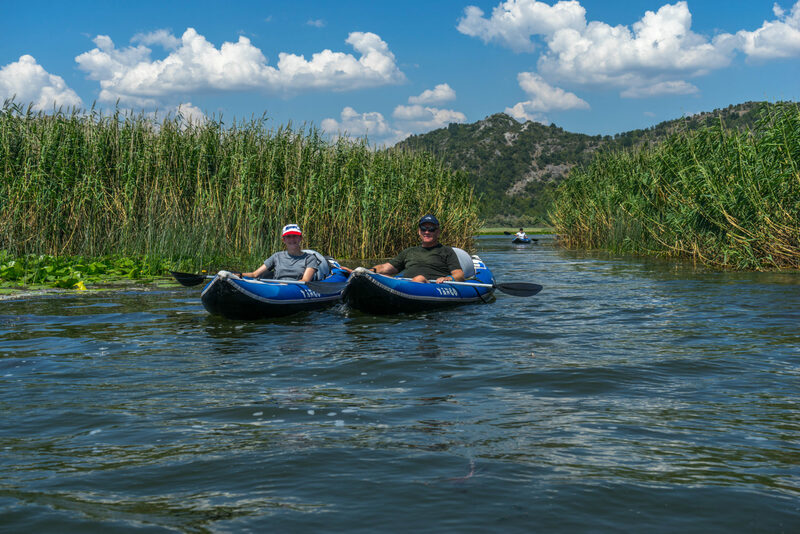 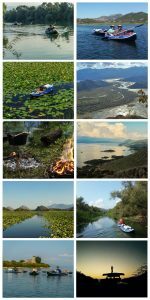 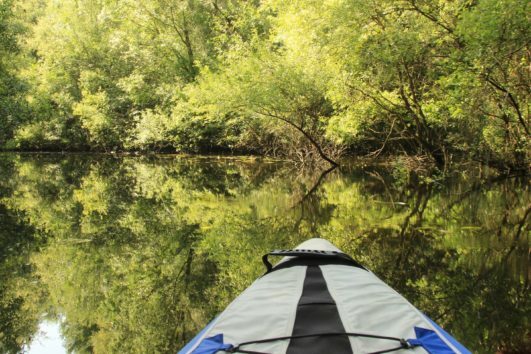 A unique experience – kayak the remarkable wilderness landscape of Lake Skadar and see the real beauty of this amazing national park, bringing you closer to nature! You will cover a distance of c.65 km over 5 full days of paddling, with a day either side to arrive and afterwards rest up, making up a week of unforgettable adventure. 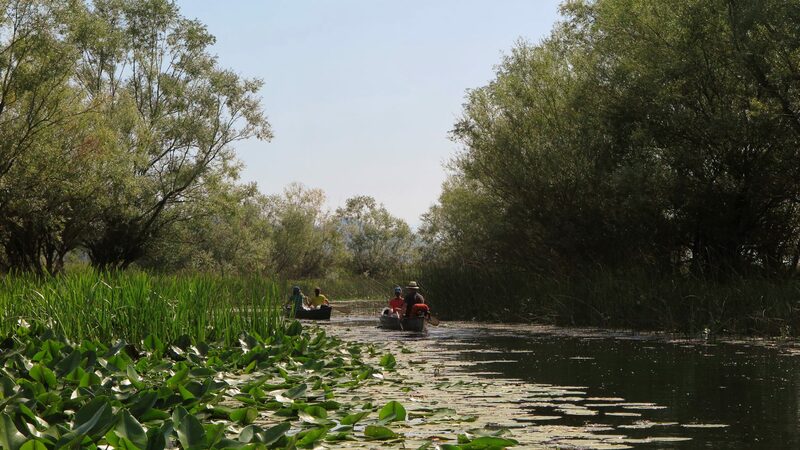 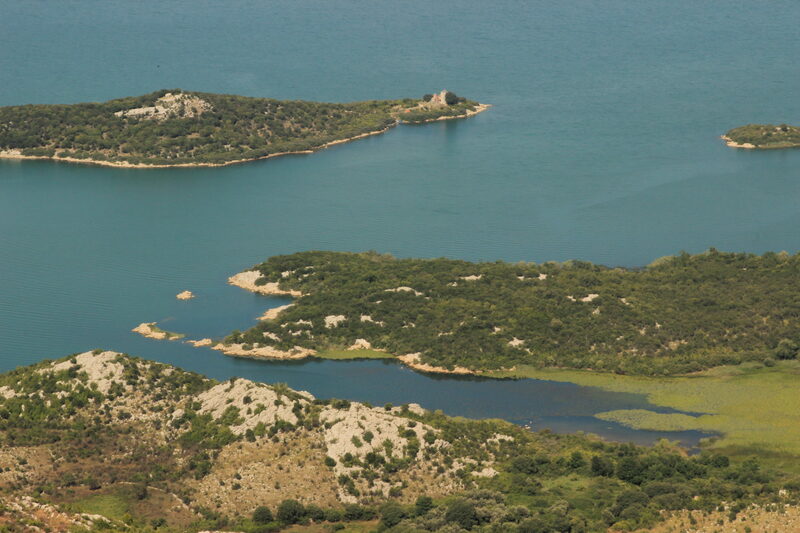 You will learn more about the lake’s incredibly diverse flora and fauna, sleep in tents next to the shore, enjoy cooking on campfires you’ll start yourselves, watch millions of stars in the evening and practice some new skills (gathering herbs/plants, fishing and birdwatching as well as paddling!). 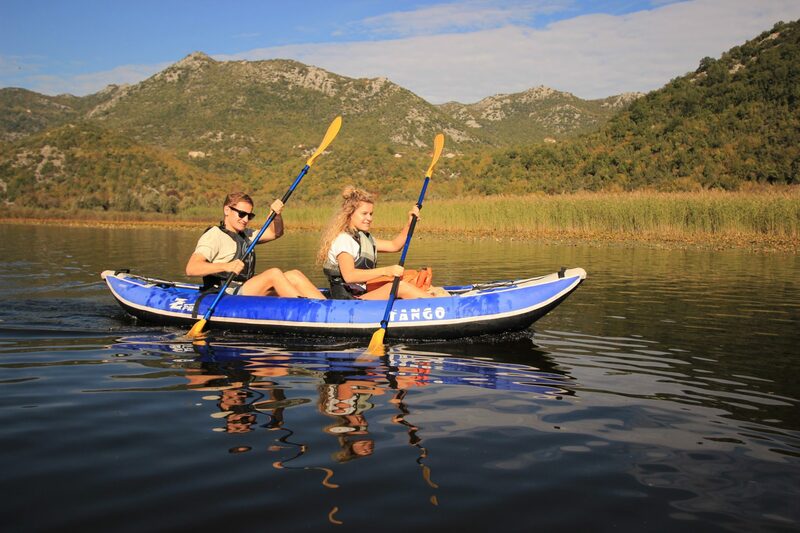 The week is suitable for almost all levels of fitness and a must-do for nature enthusiasts, families or anyone who wants to try a new way of travelling and enjoy the outdoors. 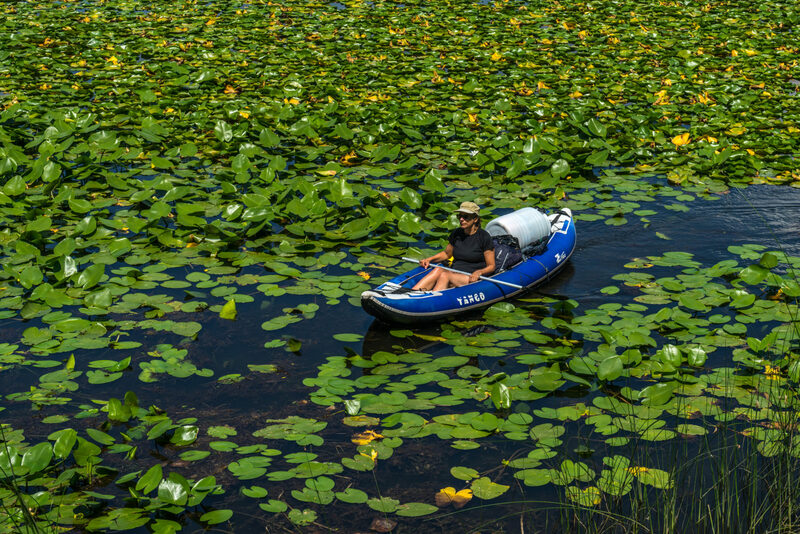 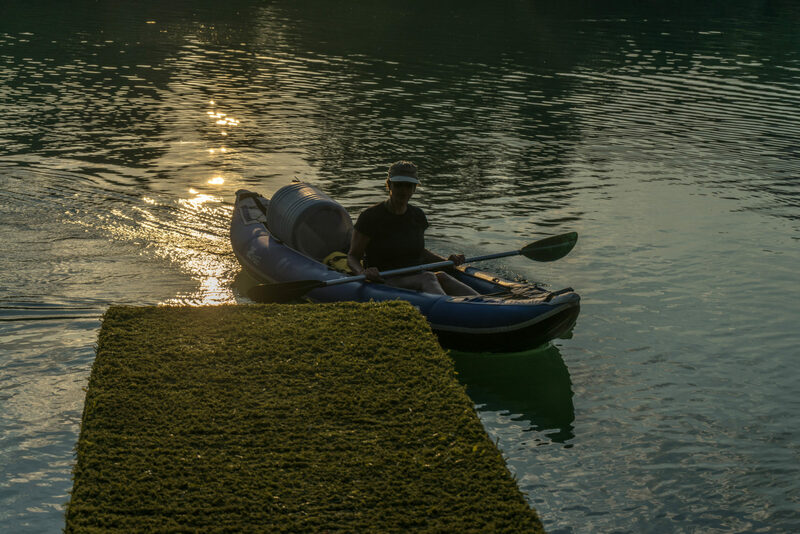 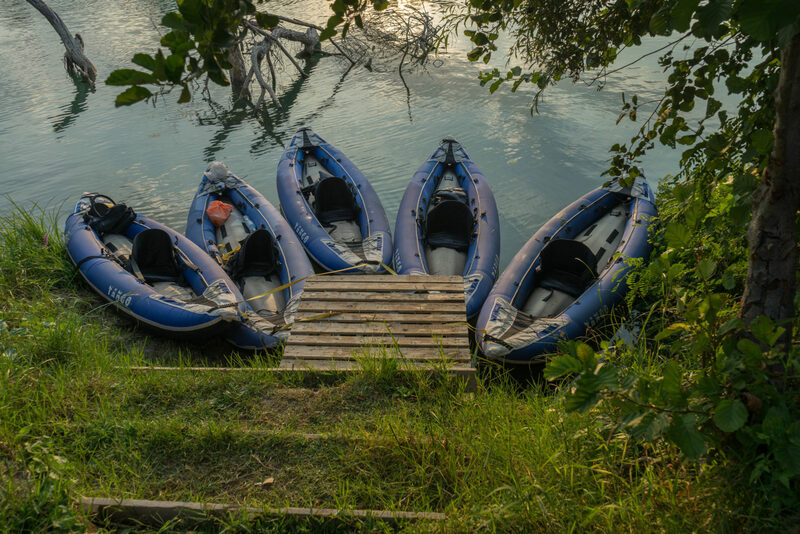 Equipment: We supply all boats (Z-Pro Tango inflatable kayaks), tents, safety and cooking equipment, but you will need to bring your own sleeping bag! 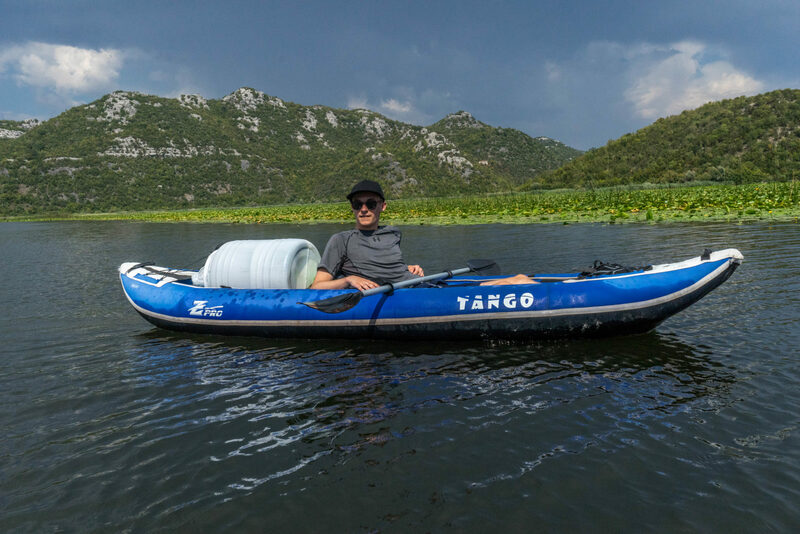 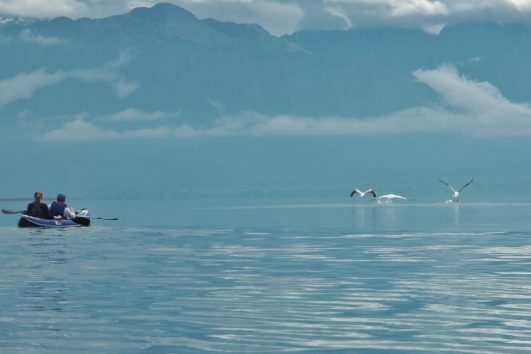 Gigo is one of Montenegro’s most experienced & talented kayakers. 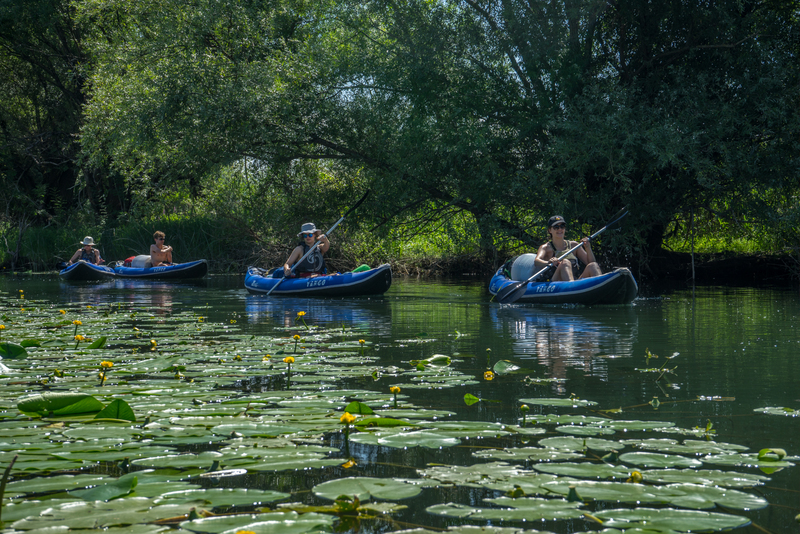 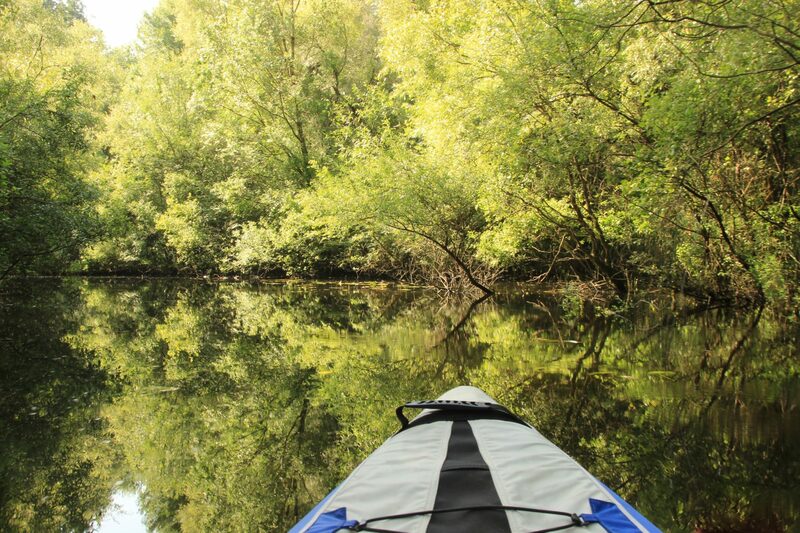 When not organising the annual Kayakfest on the Tara River, he takes guests paddling where no other have paddled before! 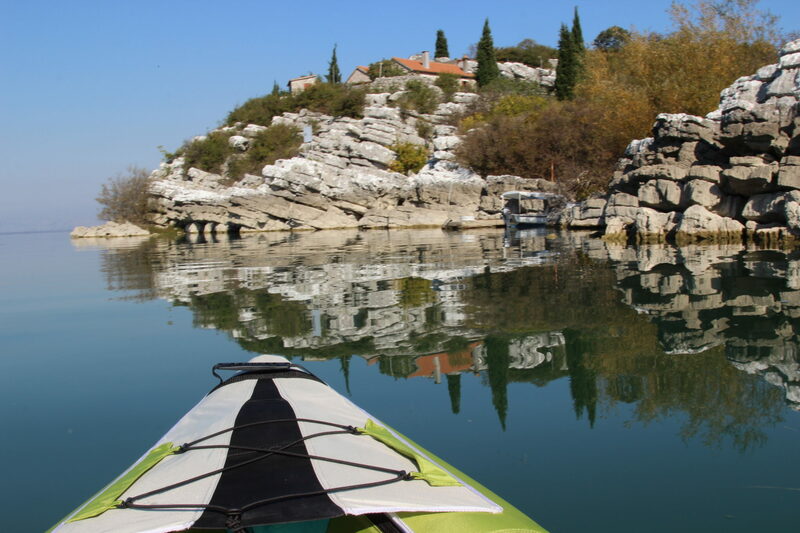 Gigo is a fully qualified ECU guide and speaks fluent English + Montenegrin/Serbian. 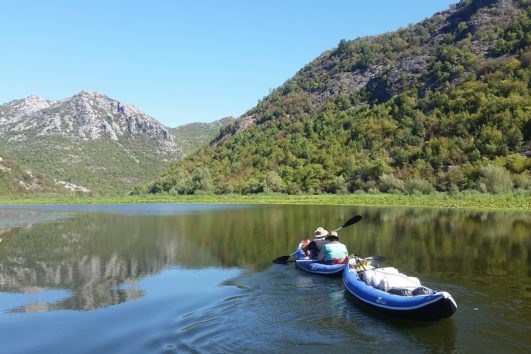 Arrival at Virpazar from your arrival airport and short transfer to the basecamp situated in a beautiful woodland in the National Park. 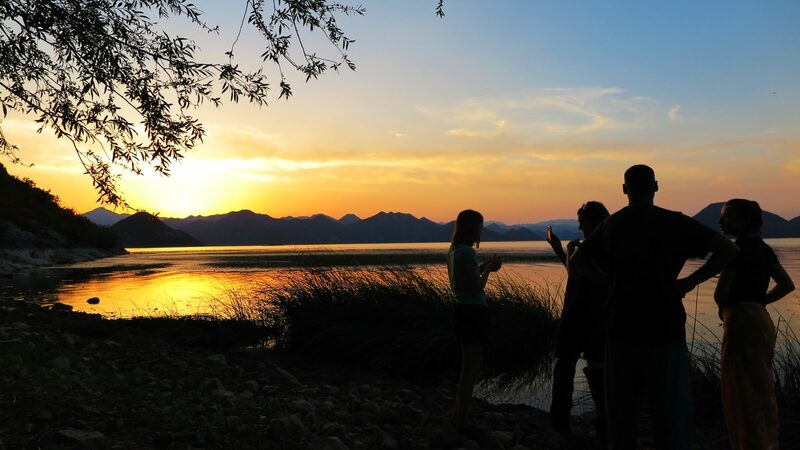 In the evening we will have a tasty organic diner at Koral biofarm where everyone can get to know each other a bit better. It’s also the time to get all your supplies and gear packed ready for the adventure to begin the next day! 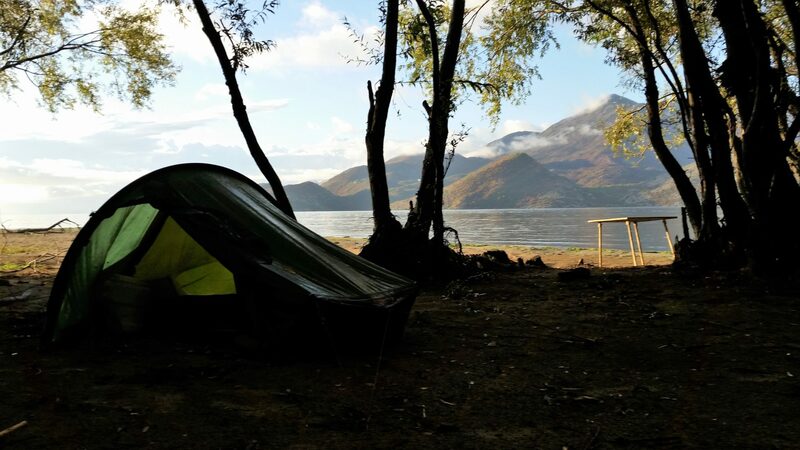 Breakfast at basecamp. 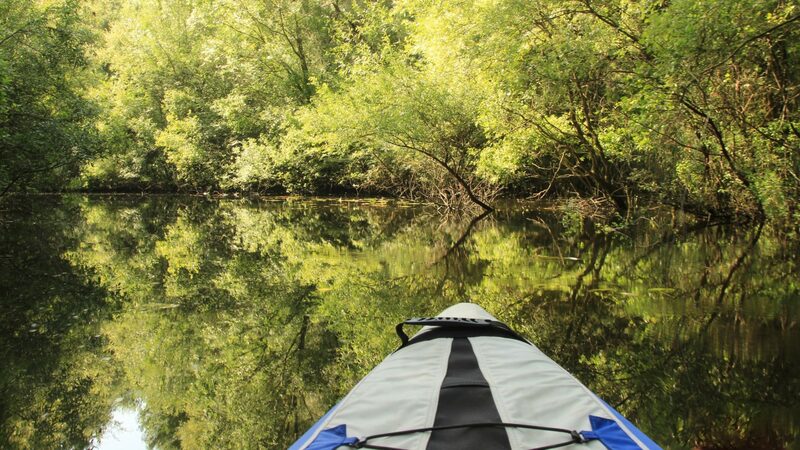 Transfer to the starting point of our canoe/kayak trip, a 50 minute scenic drive away on the northern shores of the lake. 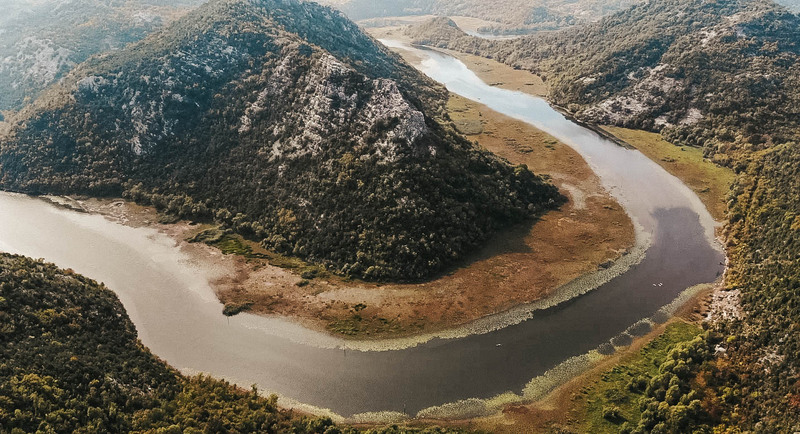 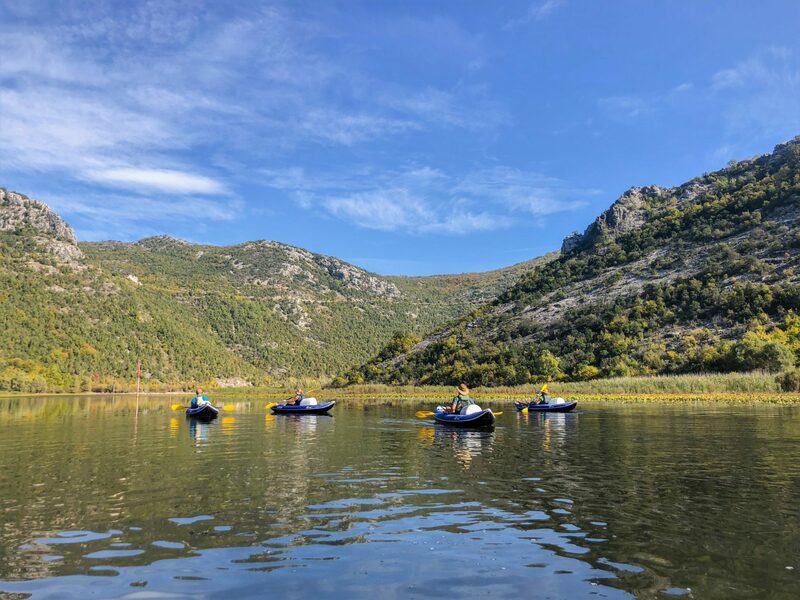 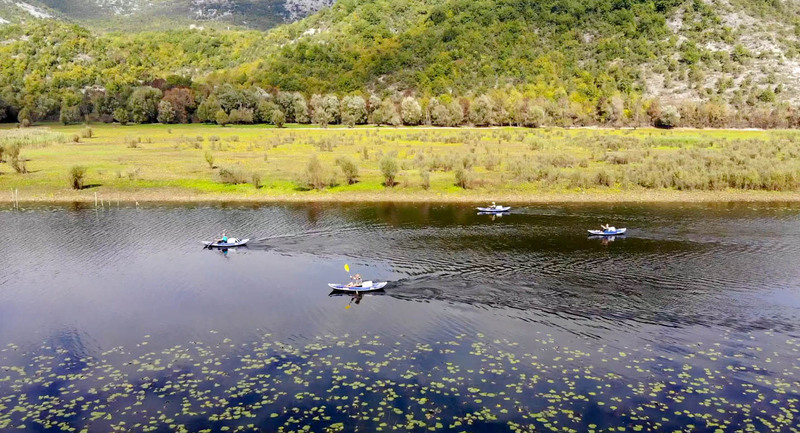 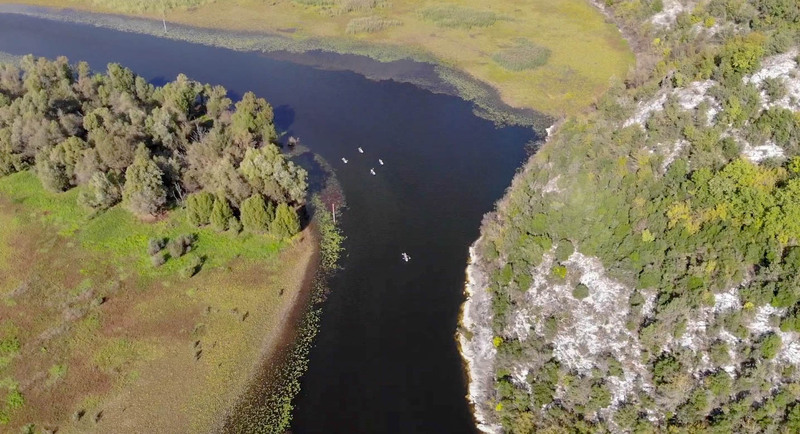 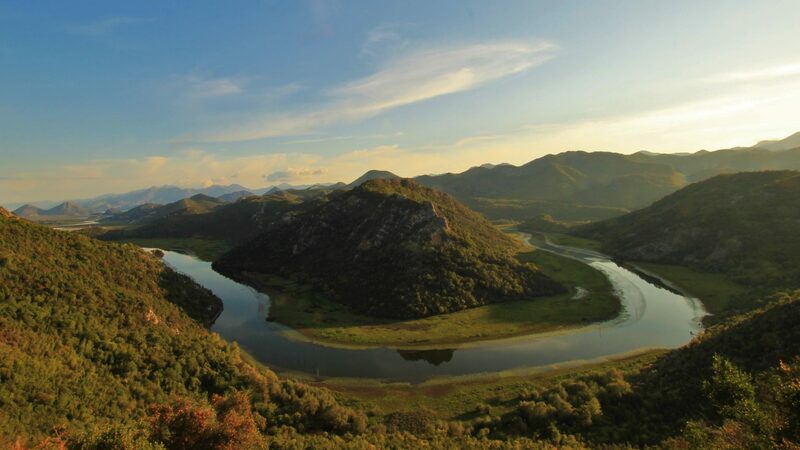 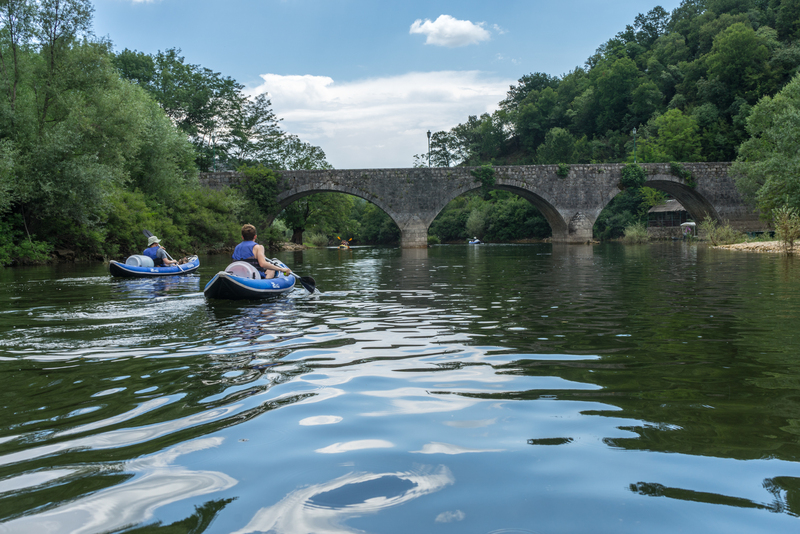 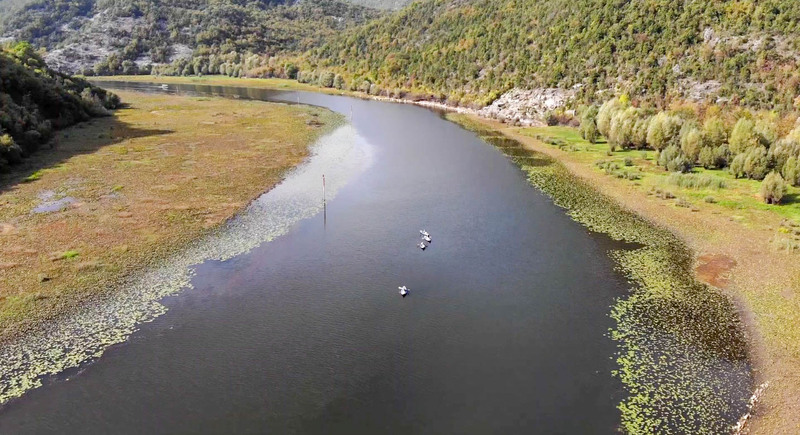 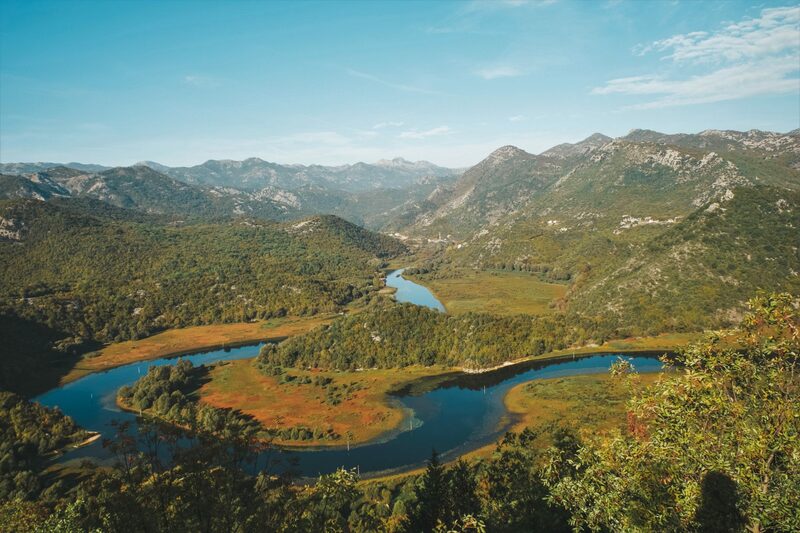 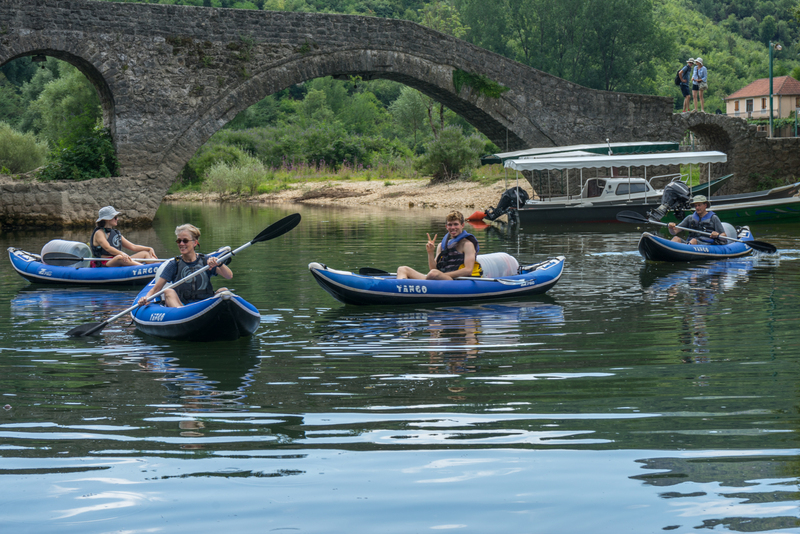 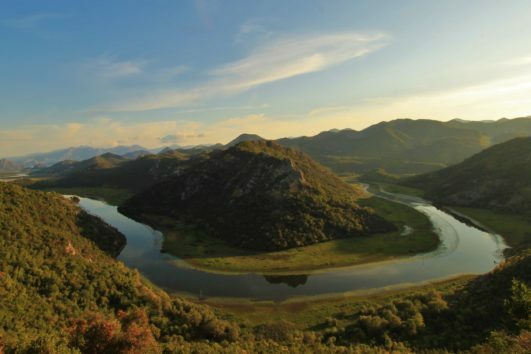 We will paddle the majestic serpentines of the Crnojević river, through Pavlova Strana, Montenegro’s most famous viewpoint, before heading up the Karatuna river to the beautiful village of Dodoši, where we will camp for the night and have dinner at a floating restaurant right on the river’s edge. 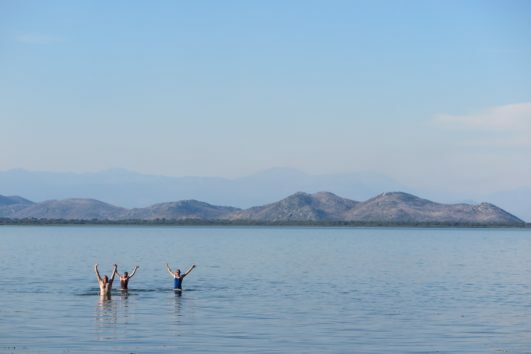 Swimming and jumping opportunities aplenty! 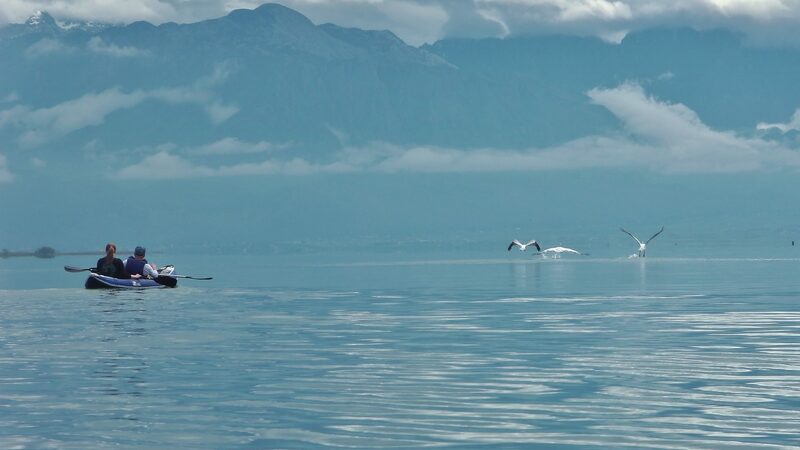 Paddling distance: 17km. 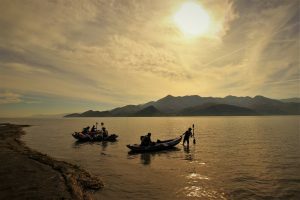 The final leg of our journey! 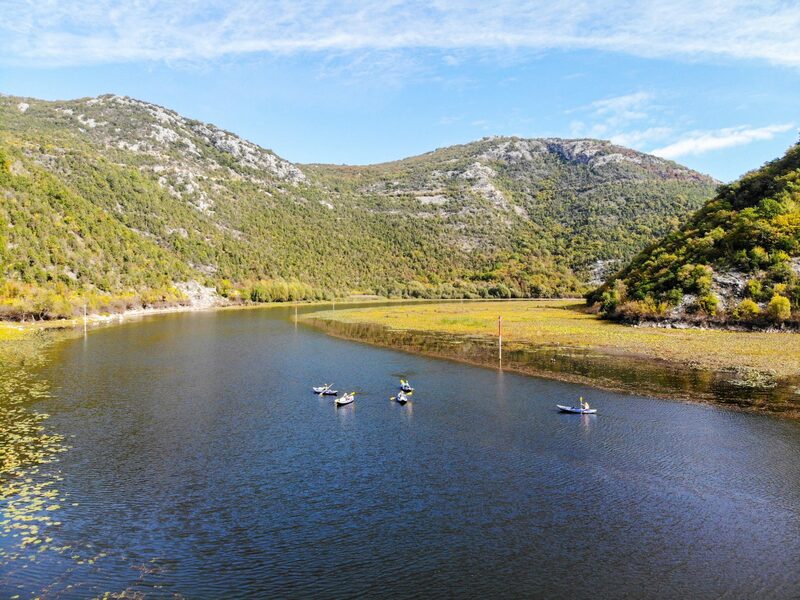 From the beach campsite, we first will pay a visit to the friendly and hugely welcoming nuns on the island monastery of Beška, where we can share a tour and a glass of homemade pomegranate juice with the sisters to refresh us physically and spiritually before we set off again. 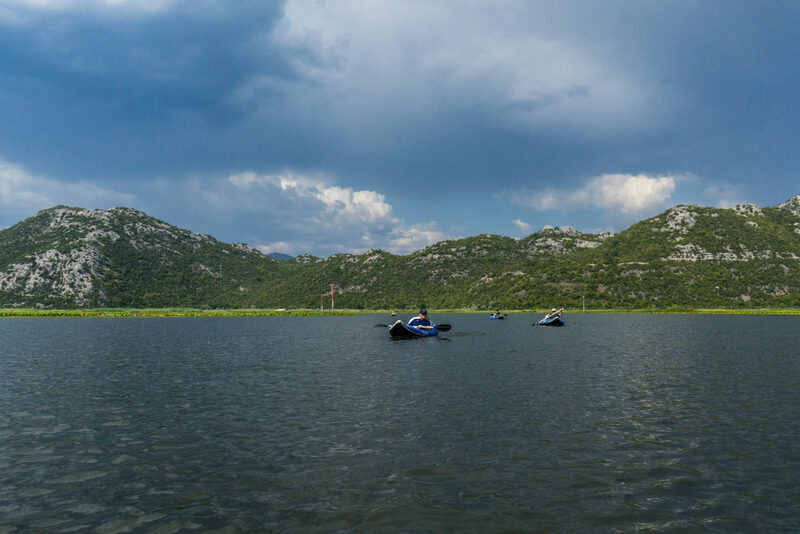 Weaving in and out of tiny islets, we will have lunch at a solitary fisherman’s shack on the shoreline before we paddle further south to the village of Bobovište, the penultimate settlement on the Montenegrin side of this fabulous lake. 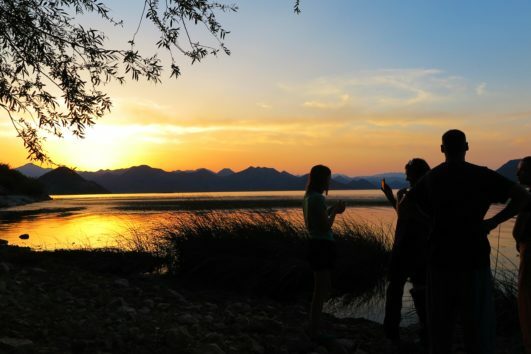 We can make a relaxed camp here, swim and chill, with amazing views of the stars as there won’t be any other lights for miles around! 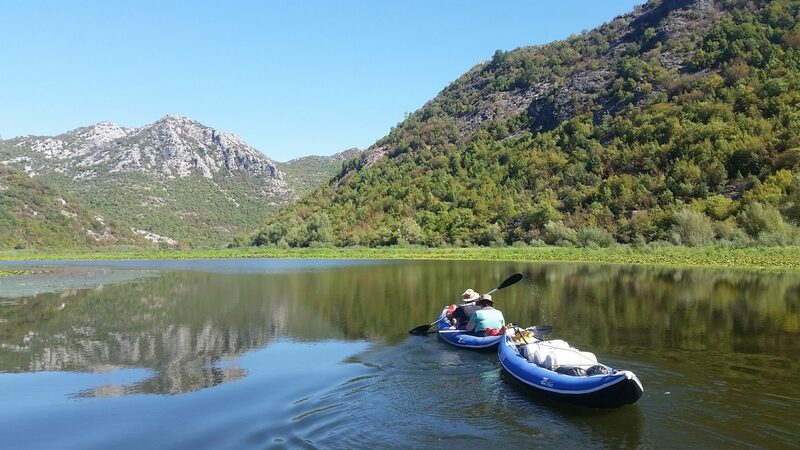 Day 7 – return and rest! We enjoy the last breakfast of the trip. 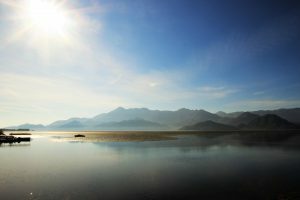 Transfer to basecamp and the rest of the day is free for everyone. 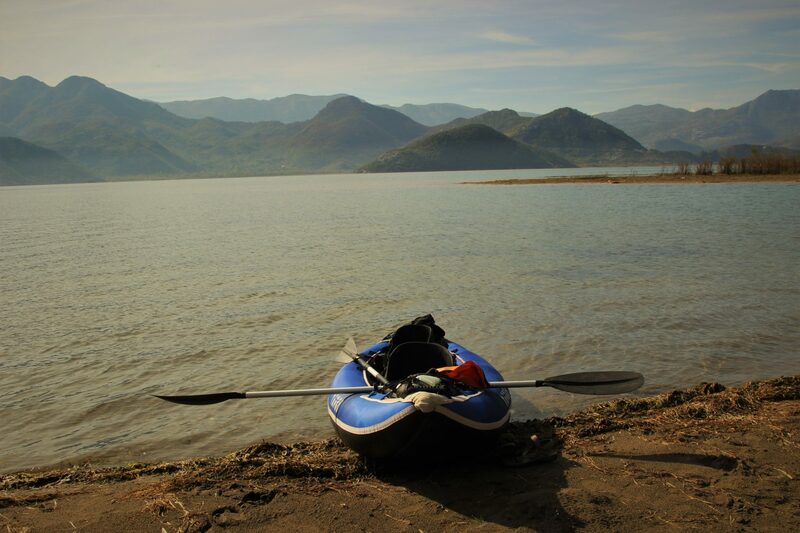 For people who want to explore on their own, there is plenty to discover in walking distance from the basecamp. 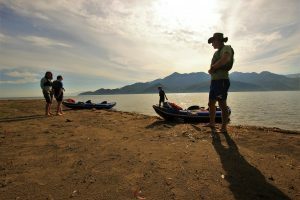 We will have a last dinner together at basecamp, where the owner will prepare for us some typically tasty, local dishes. 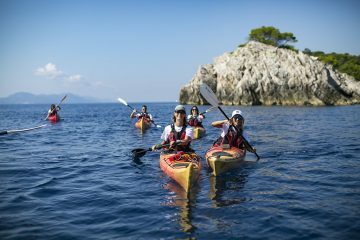 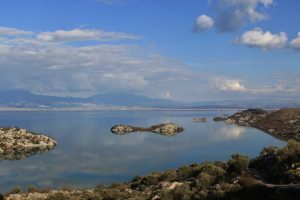 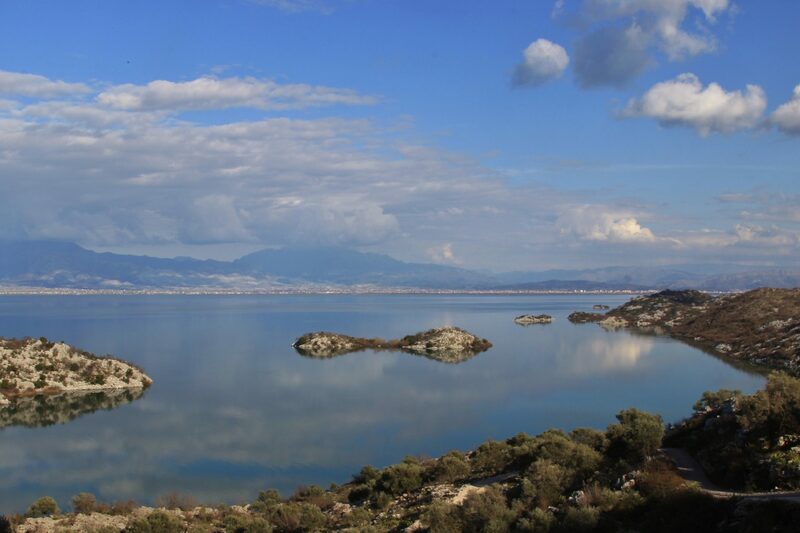 Price includes 5 days awesome wilderness kayaking and camping, 2 nights’ bed and breakfast accommodation in Virpazar, 5 evening meals, 5 lunches, National Park fees and all transportation. 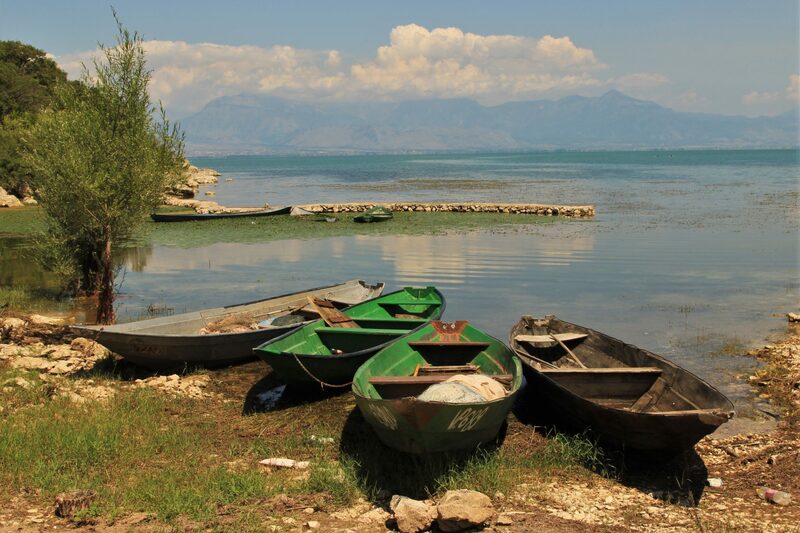 Flights, airport transfers and other meals excluded. 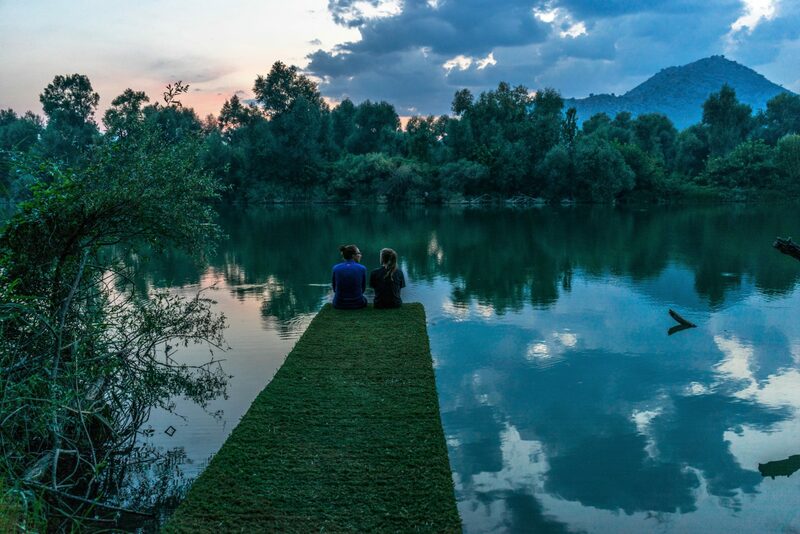 Your first and last night will be spent glamping at the OK Koral Bio Farm, situated just 2km from Virpazar in the village of Orahovo. Beautofully appointed bell tents in a quiet woodland setting will relax you first and then rest you second! 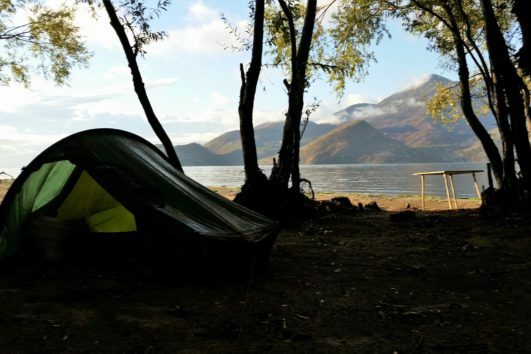 The 5 nights out on the lake will be spent either sleeping under the stars or in two-man canvas tents (you may bring your own tents if you prefer). 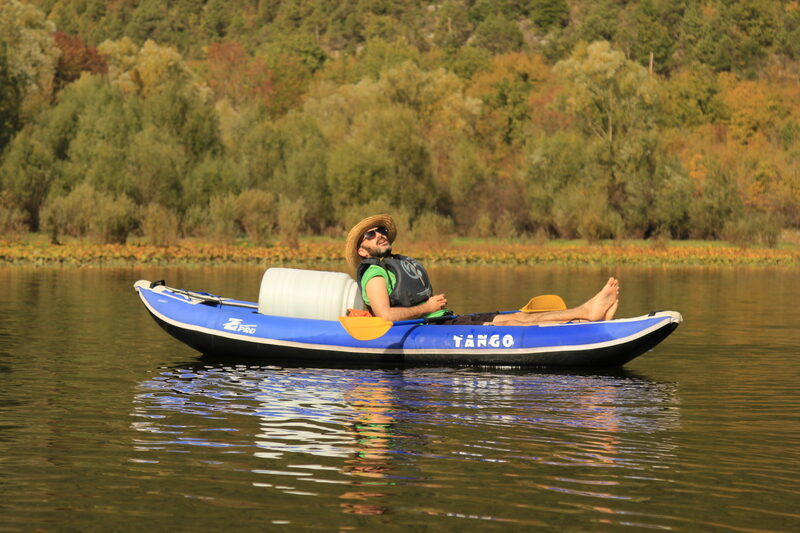 Please note, whilst we supply all camping equipment, you will require your own sleeping bag. 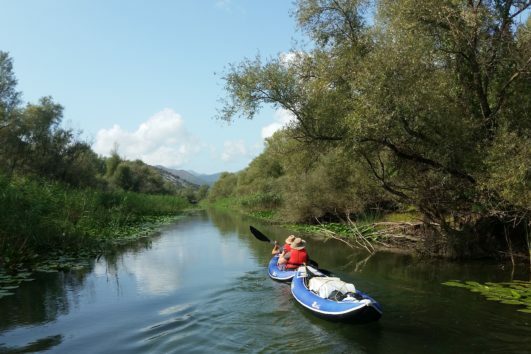 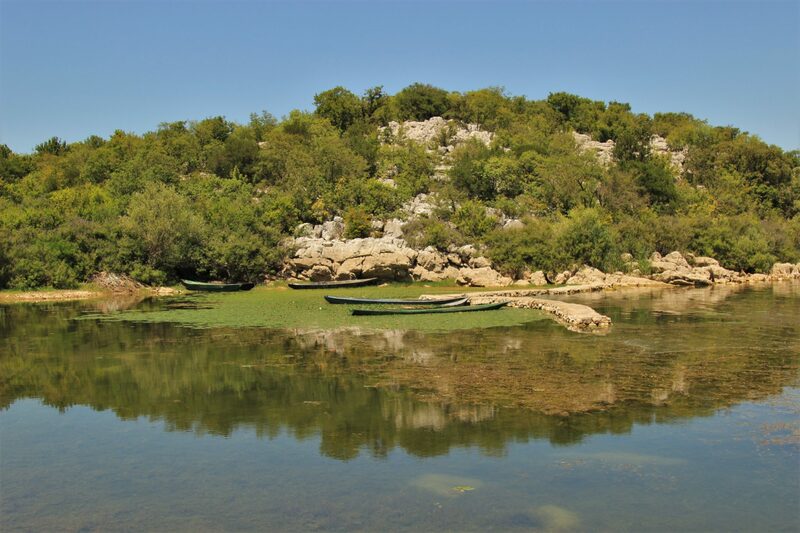 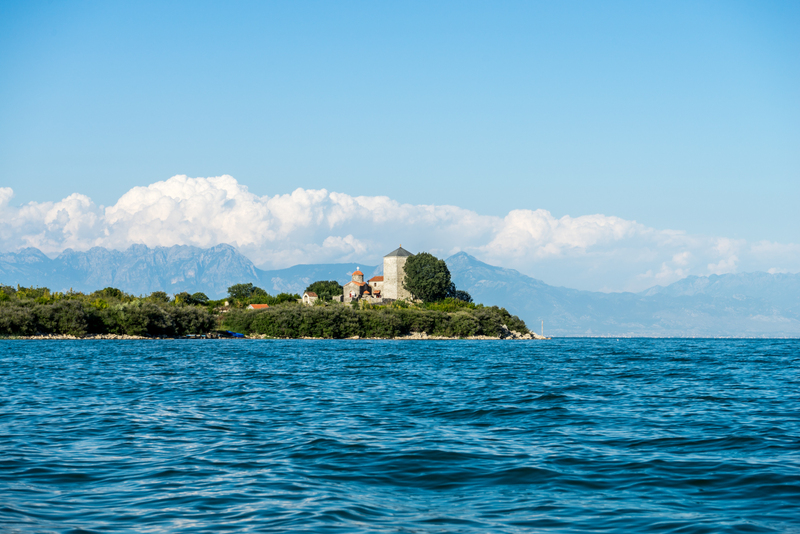 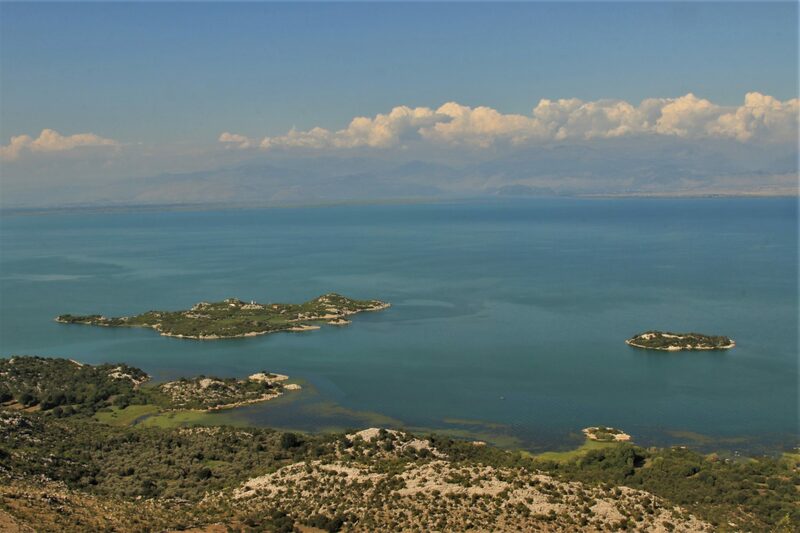 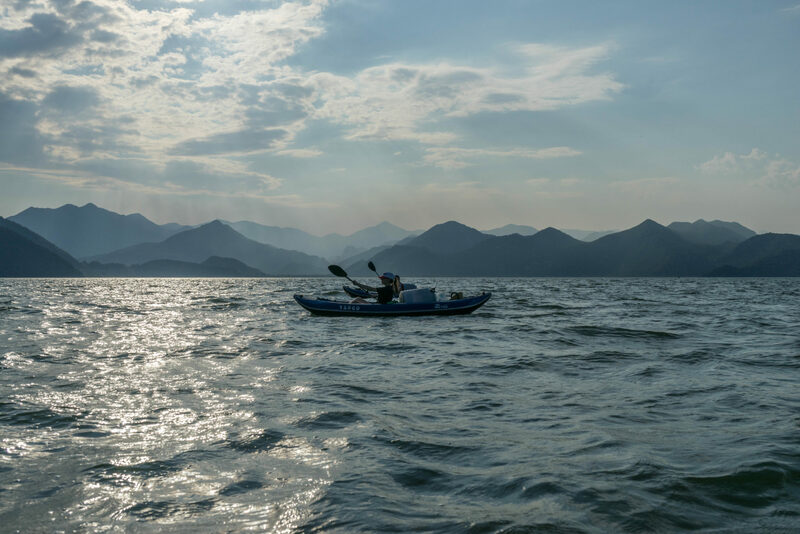 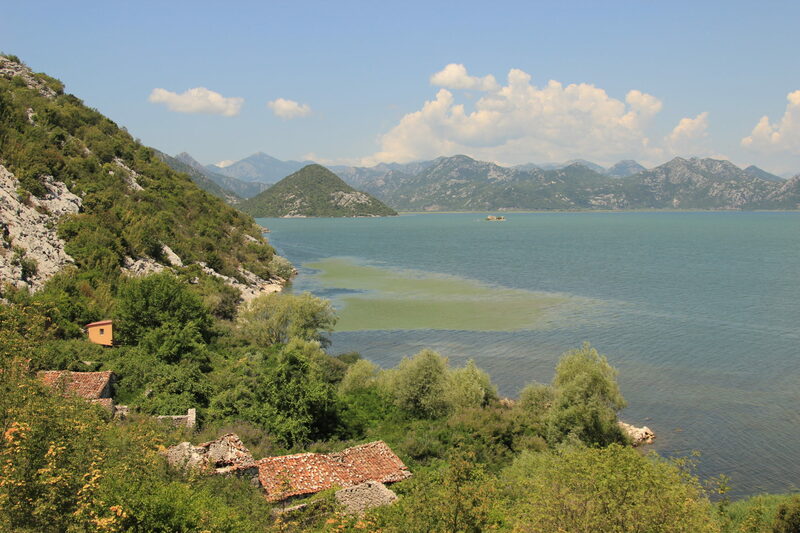 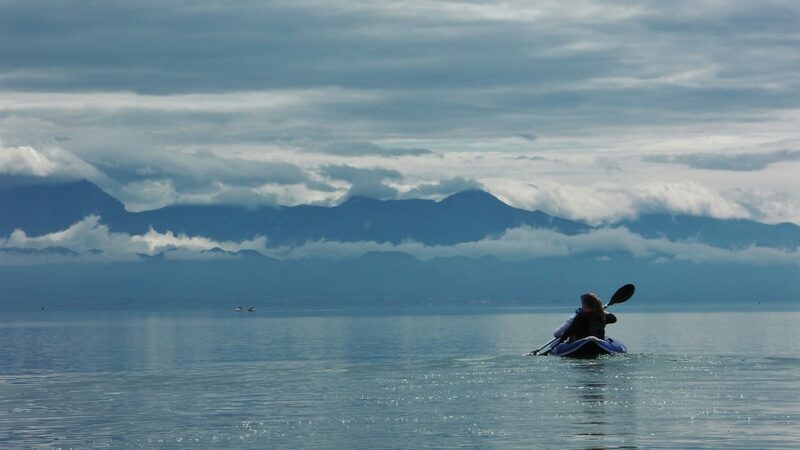 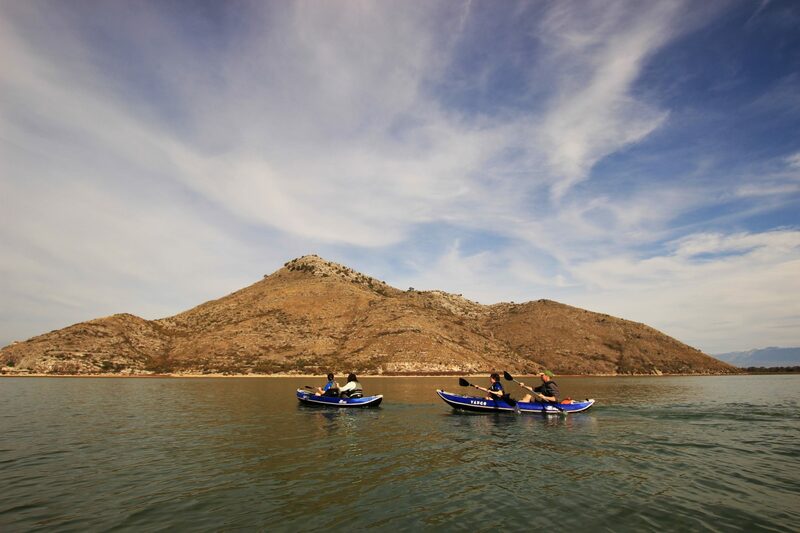 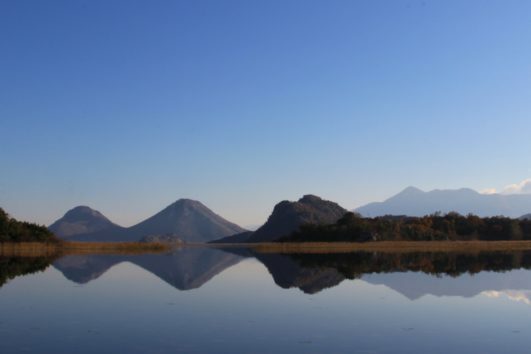 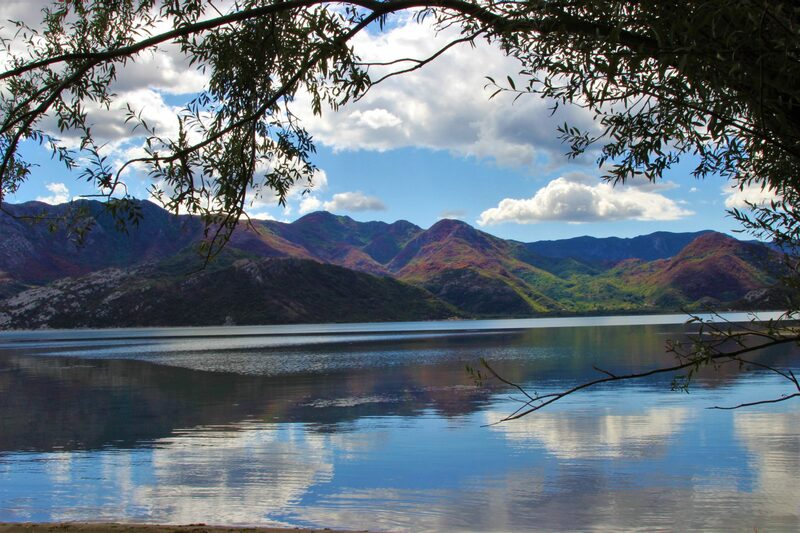 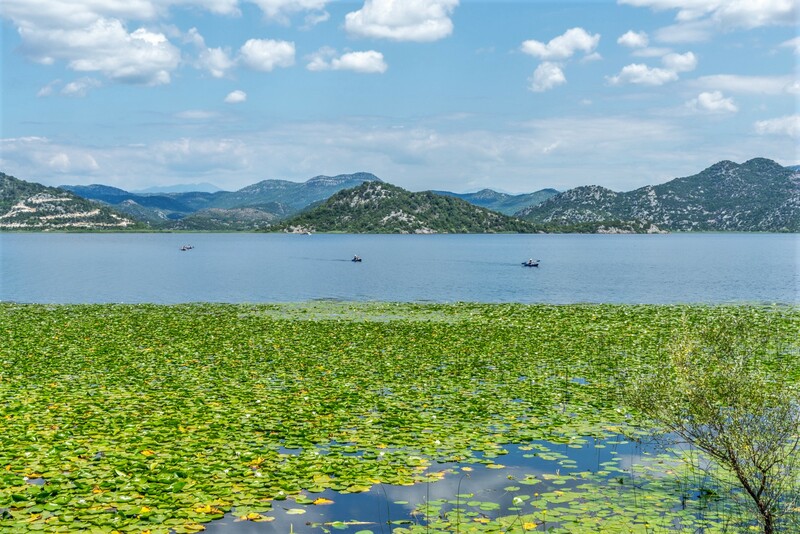 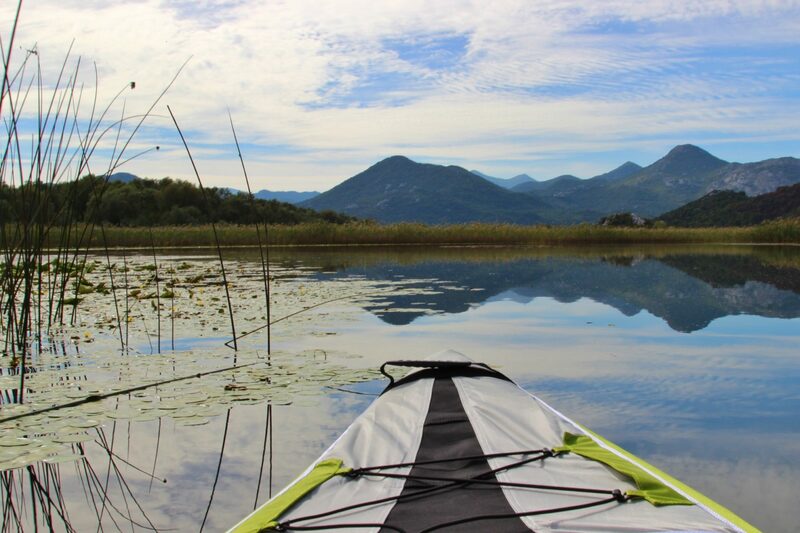 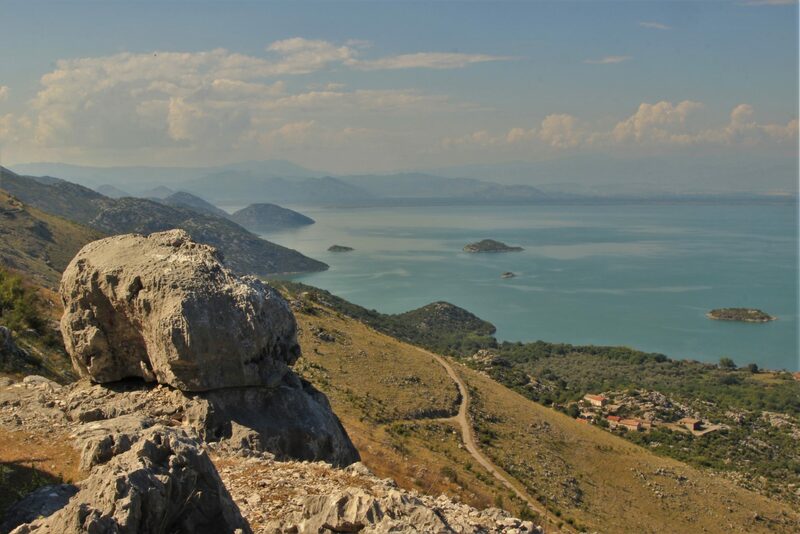 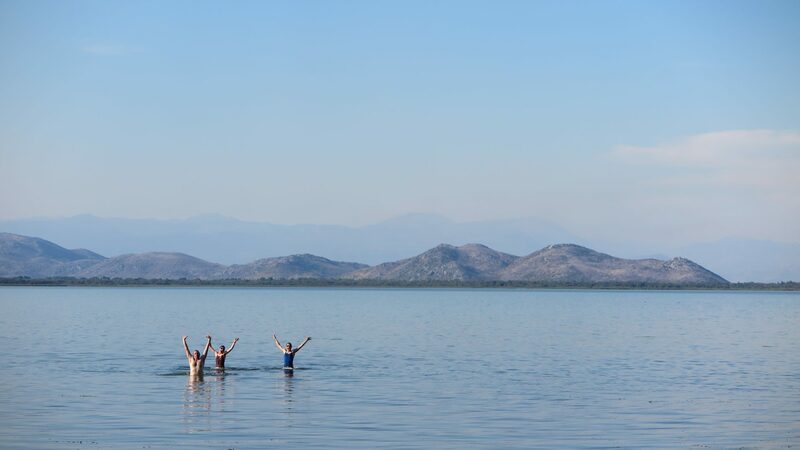 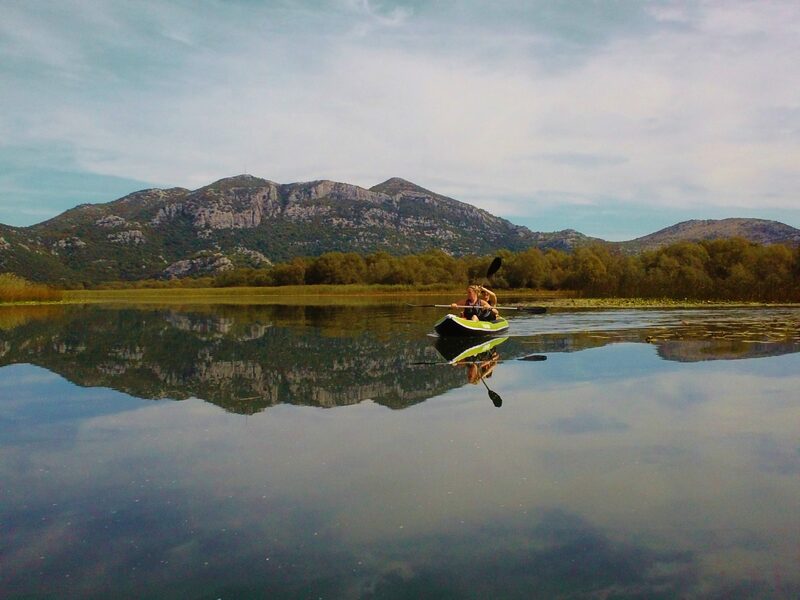 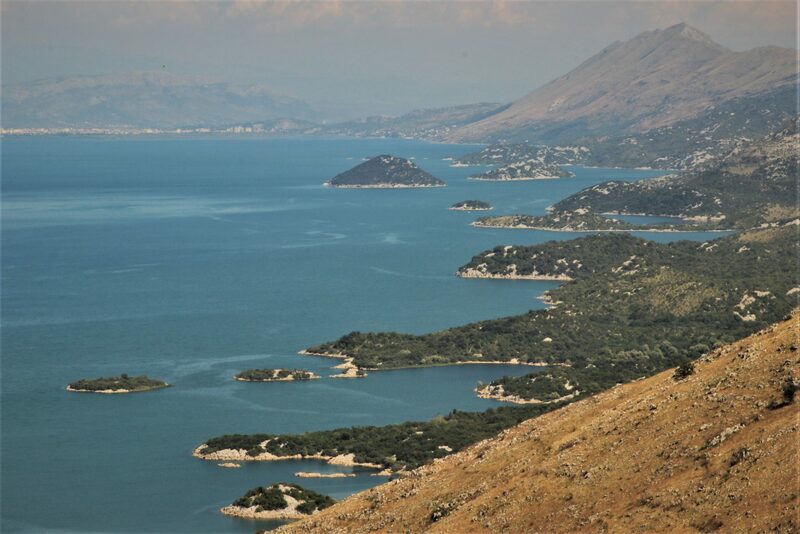 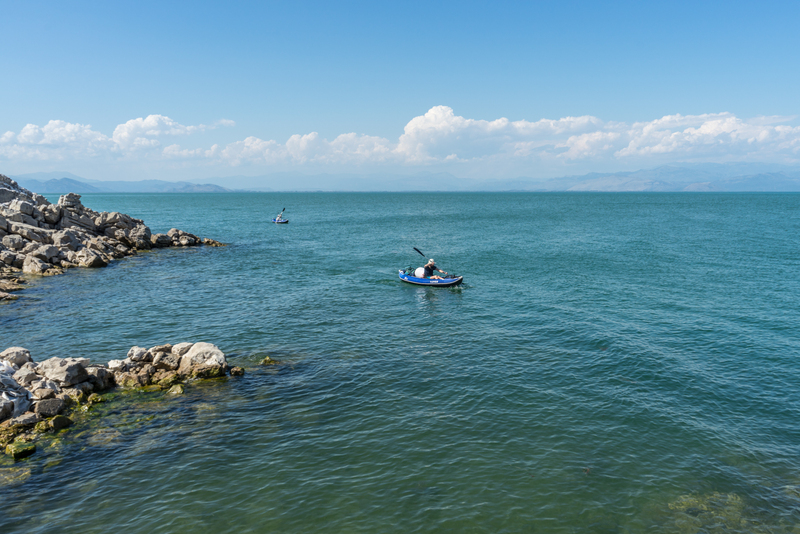 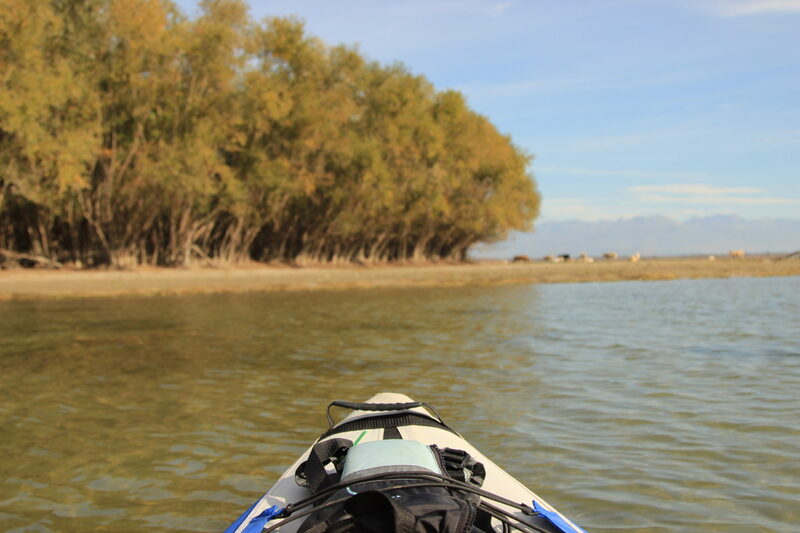 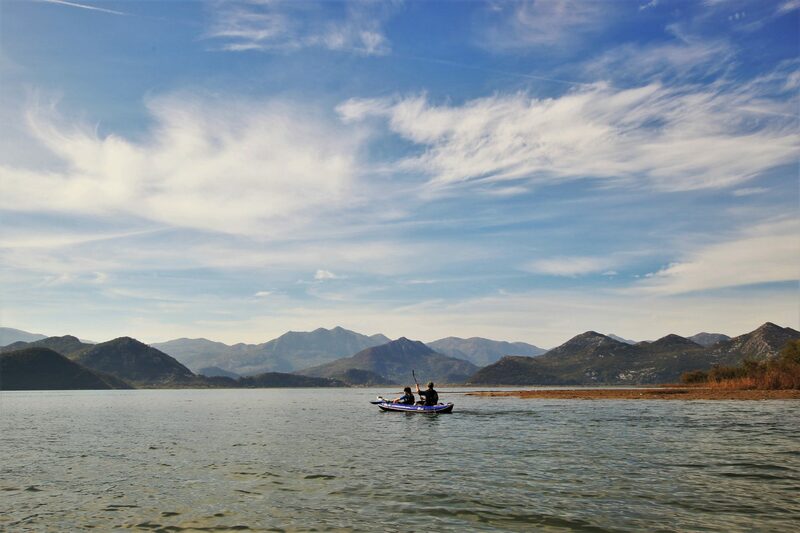 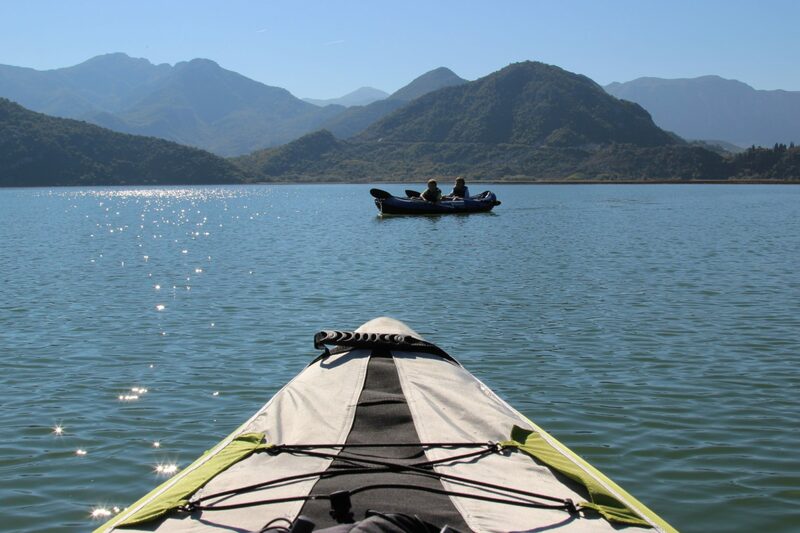 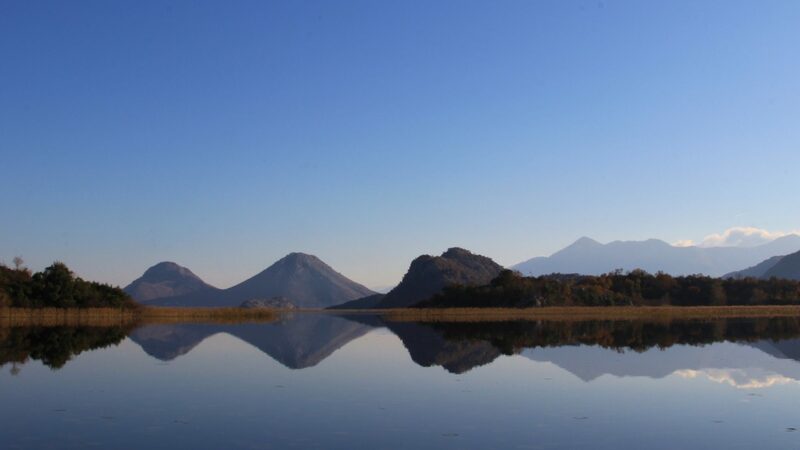 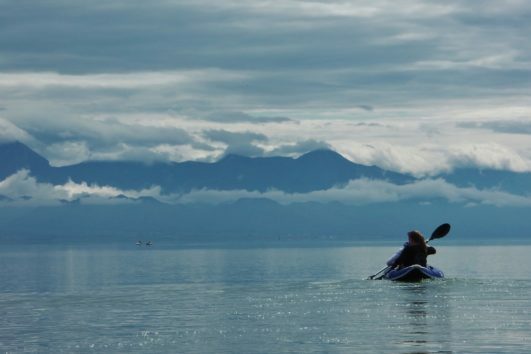 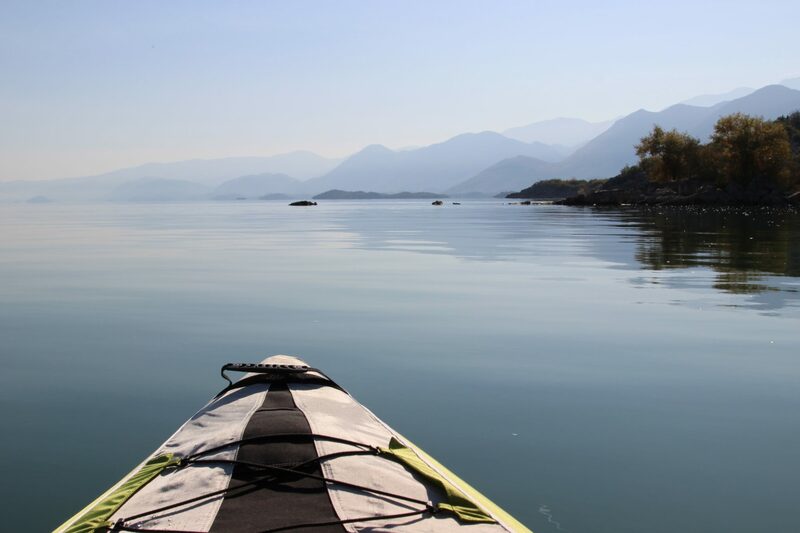 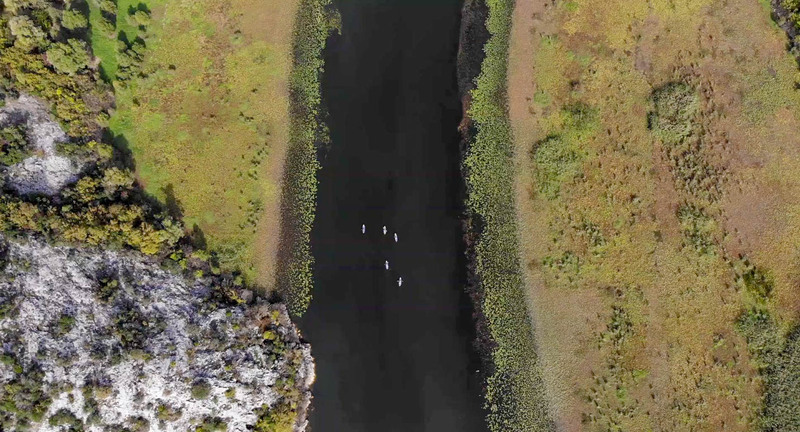 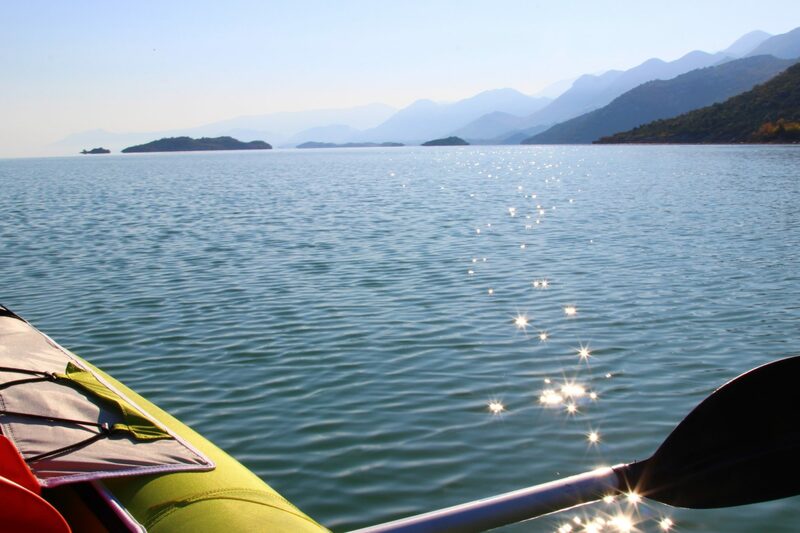 Kayaking Croatia's stunning Elafiti islands and Montenegro's Lake Skadar!